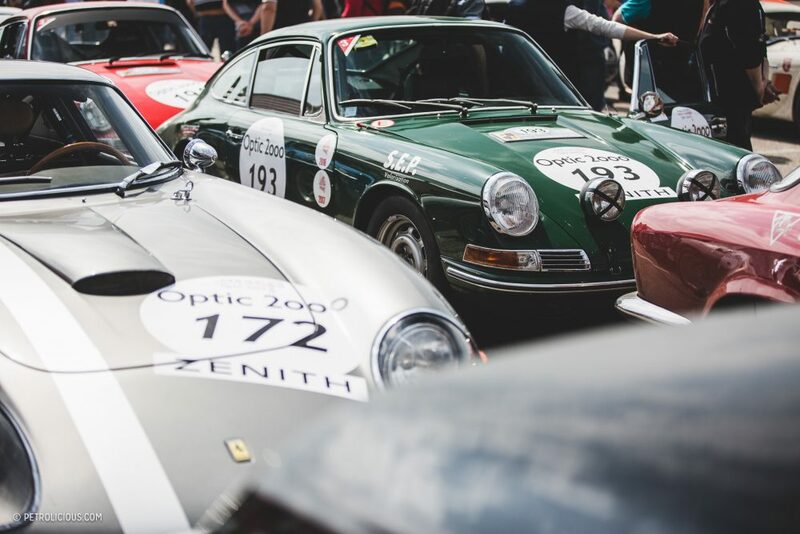 There only are few things in the world that we count the days for, but for most of the petrolheads interested in vintage metal there is at least one event that’s worth a calendar countdown: the Tour Auto Optic 2000. 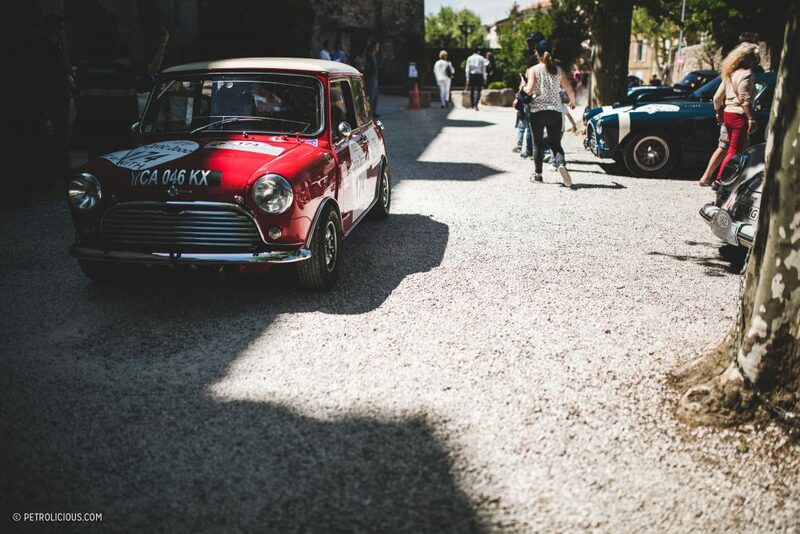 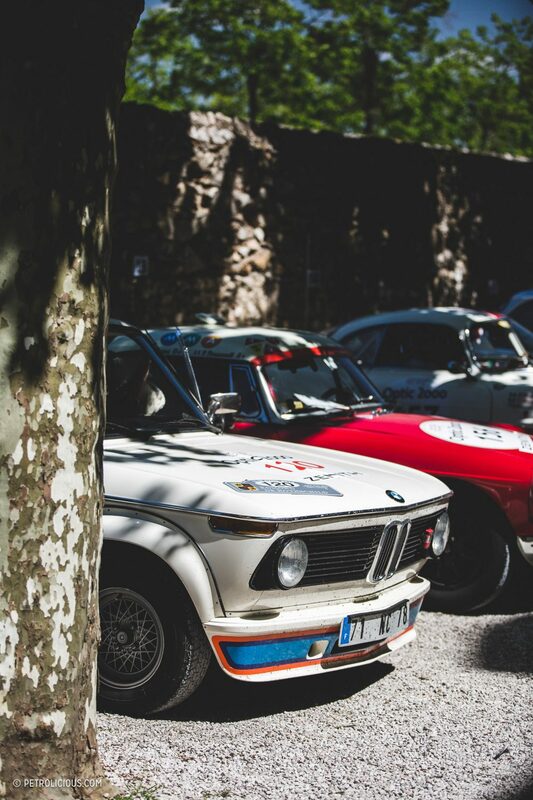 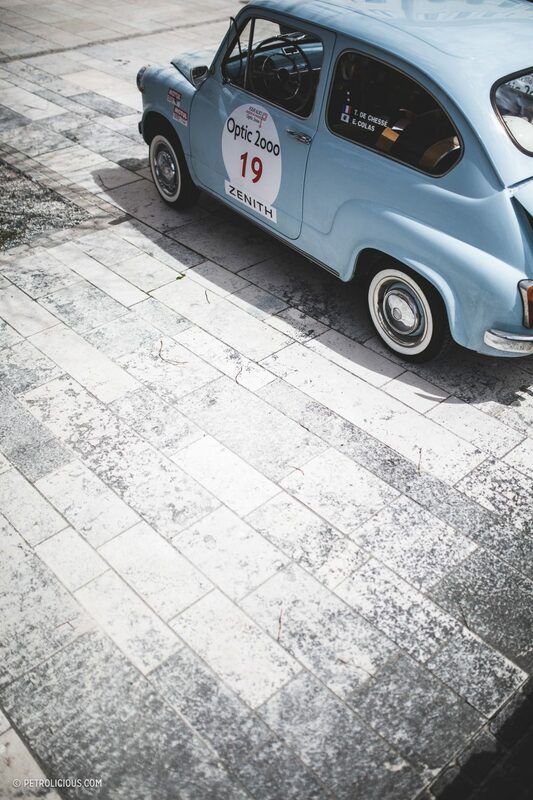 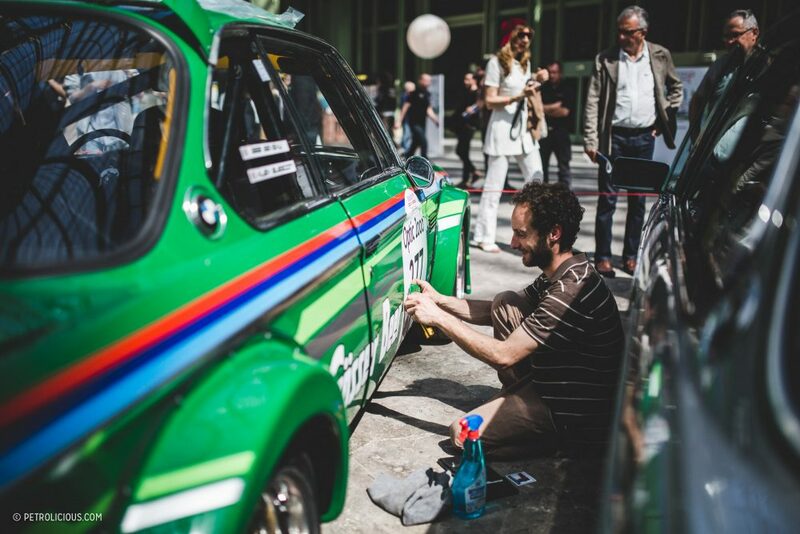 Throughout the months leading up to this massive French road rally (which is an homage to the original Tour de France Automobile), some of the participating cars are revealed, as well as a large part of the five-day route, just in case one needs a little material for their next daydream involving sports cars and winding roads. 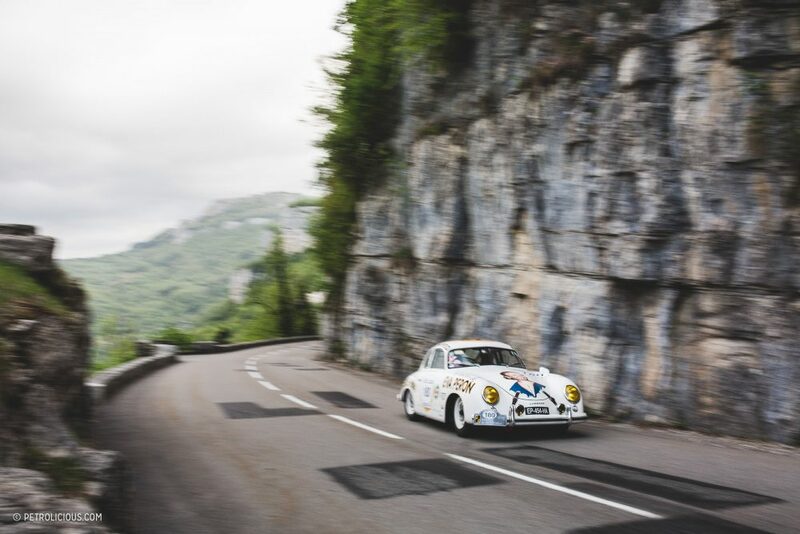 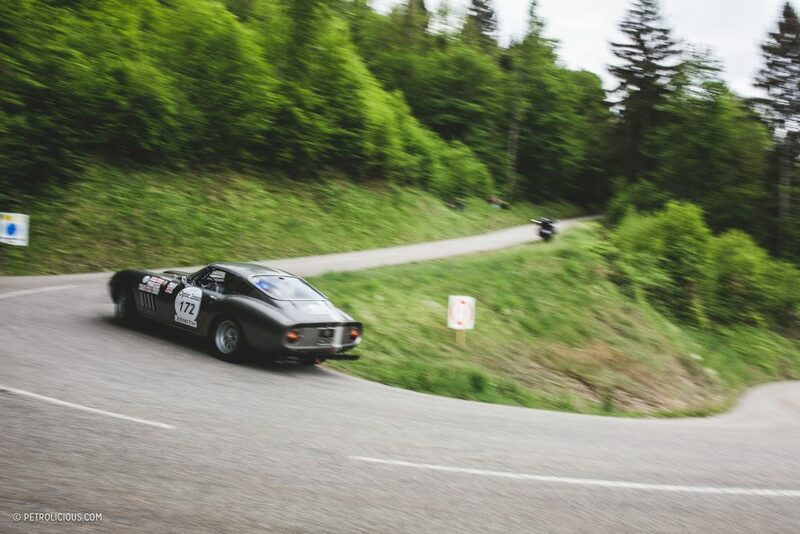 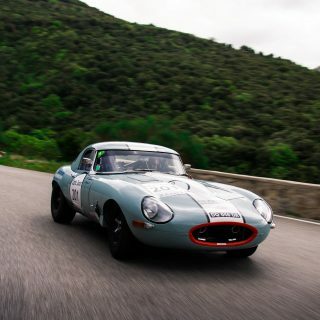 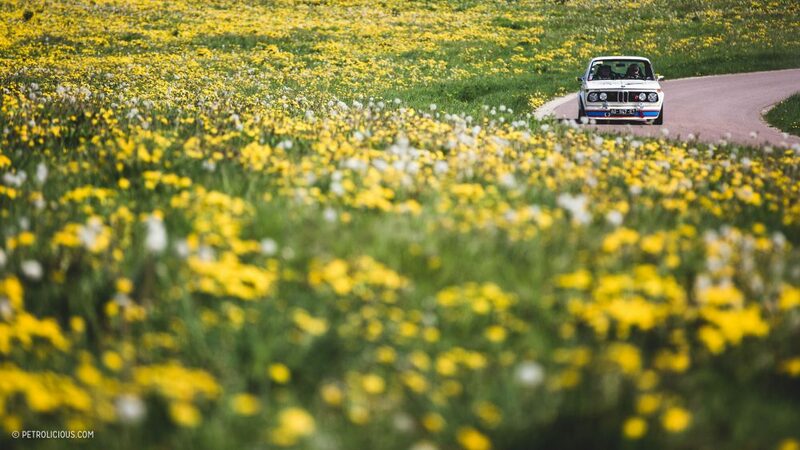 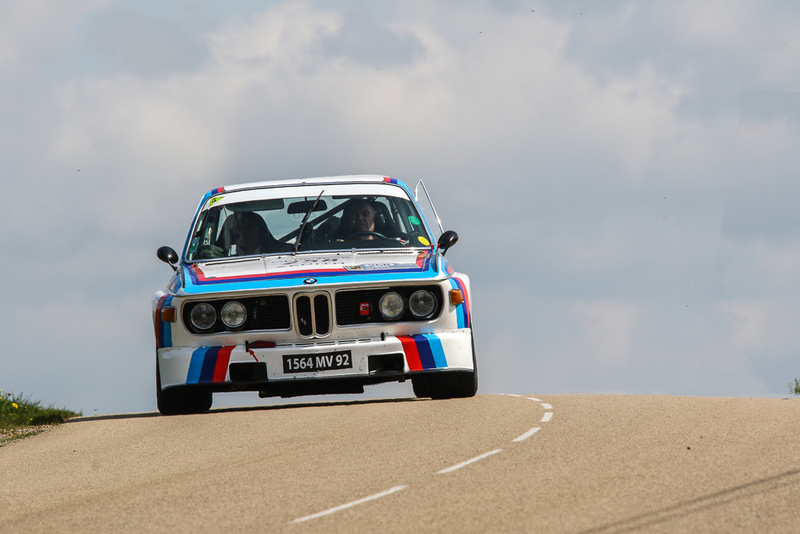 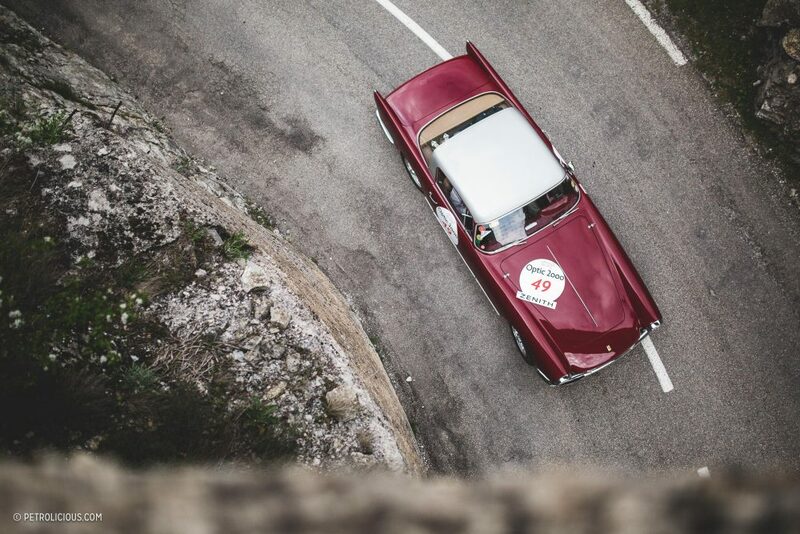 Here are some figures that might stoke these fantasies further: the Tour Auto involves more than 2,000km of the best driving roads France has to offer, driven over the course of five days and linking cities from Paris to Megève to Nice, 230 classic cars in participation, 10 special stages and four bonafide racing circuits. 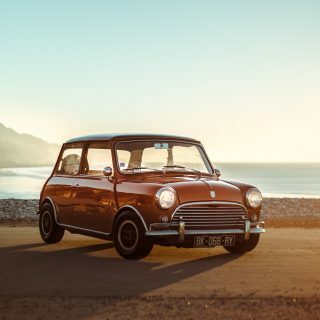 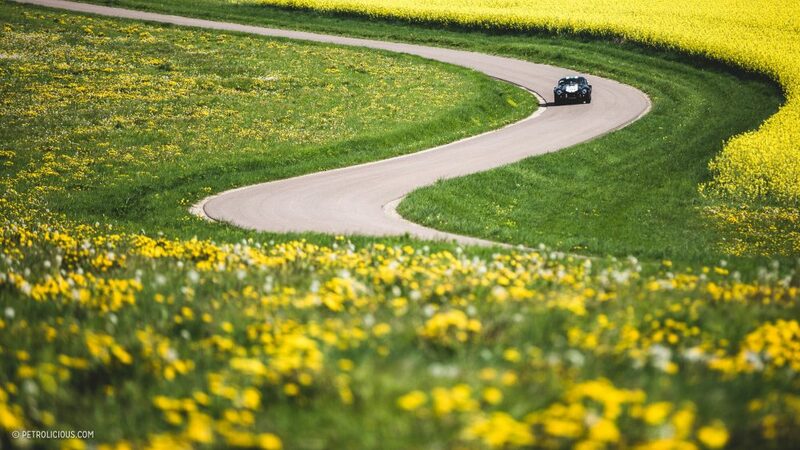 Enough to sound like one of the best road trips in the world? 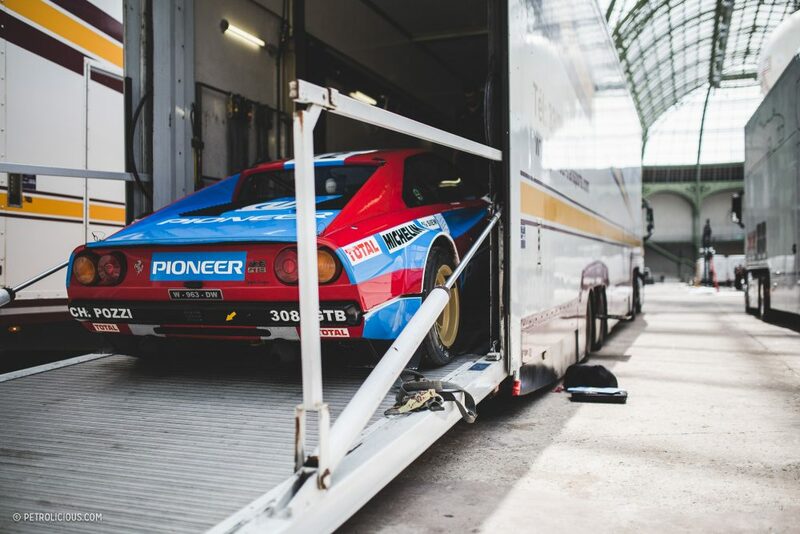 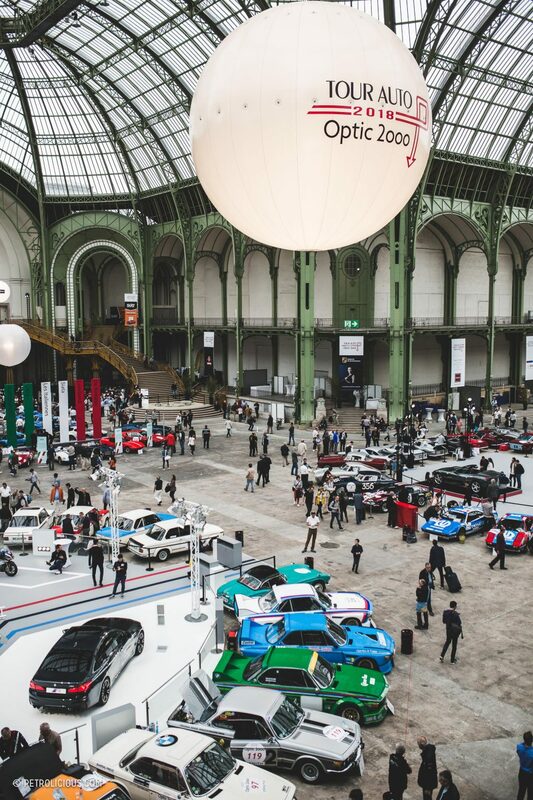 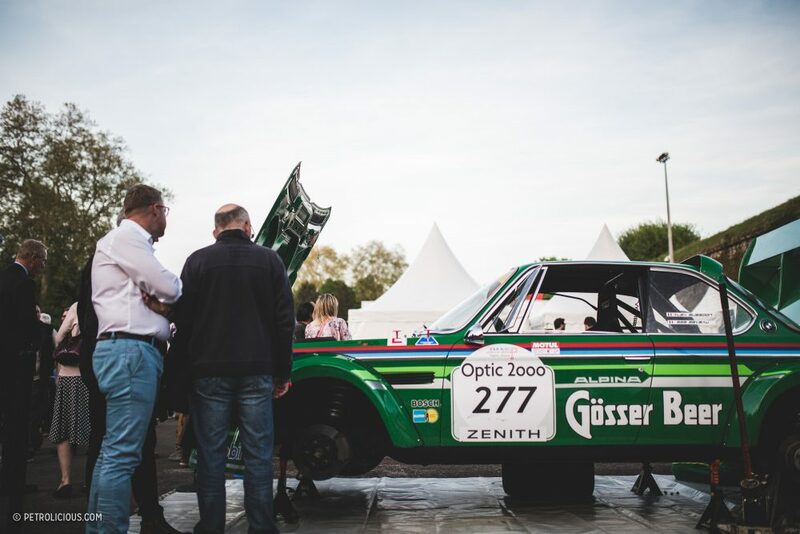 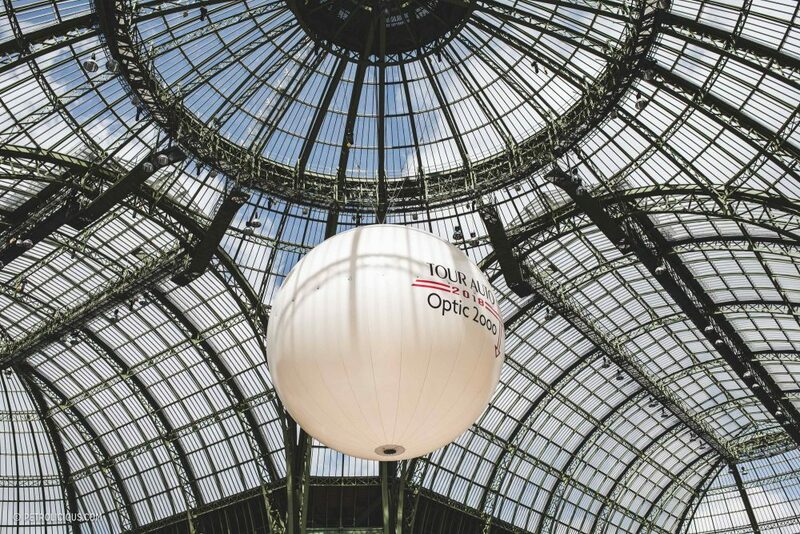 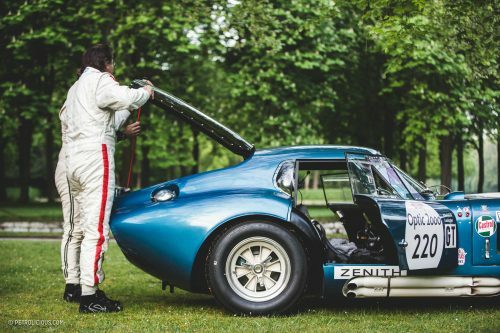 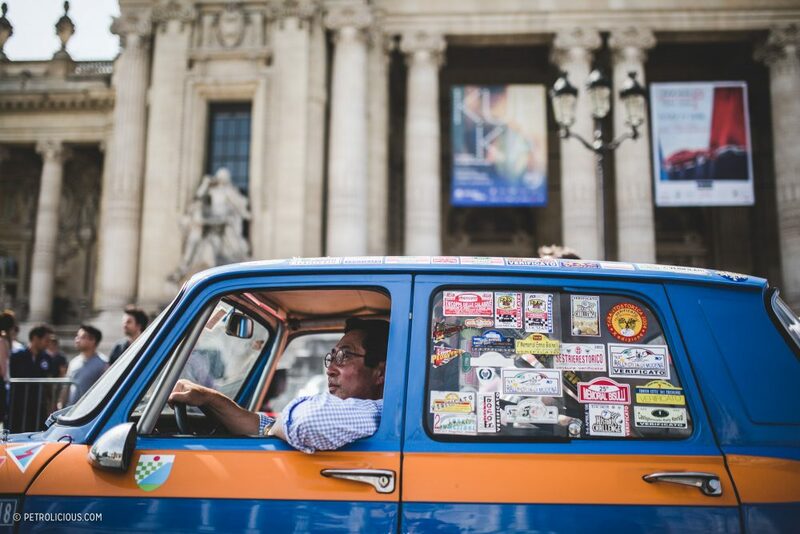 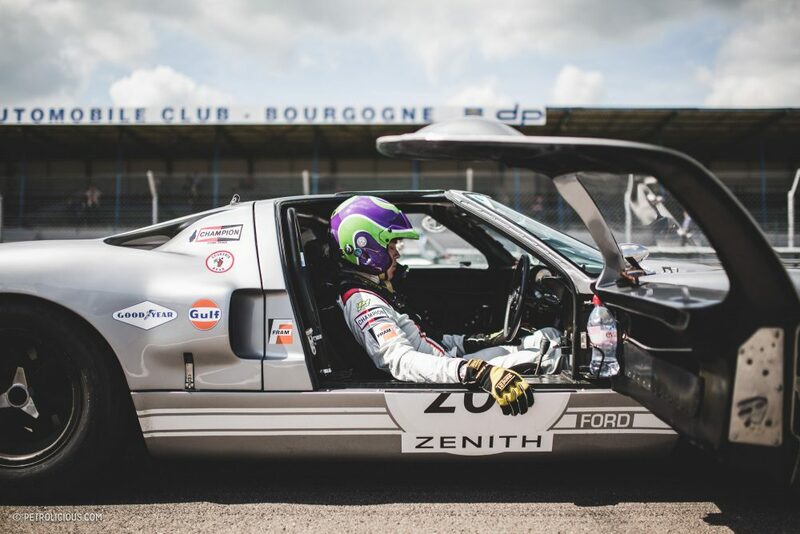 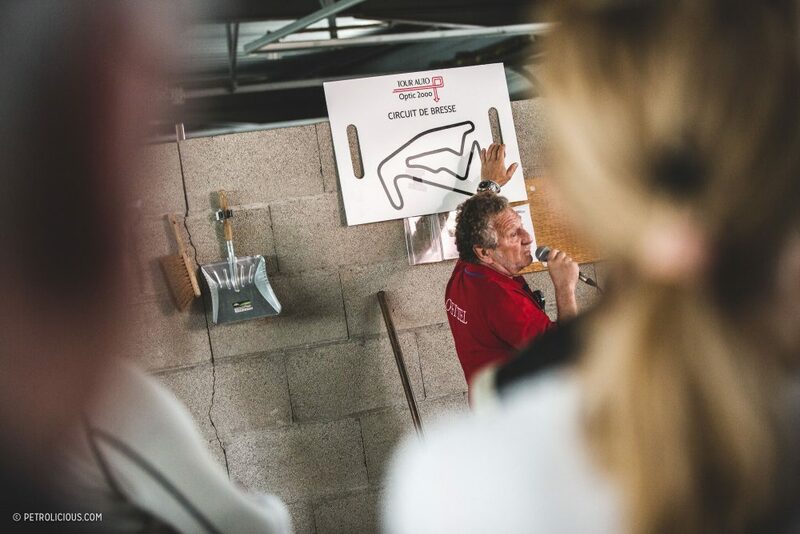 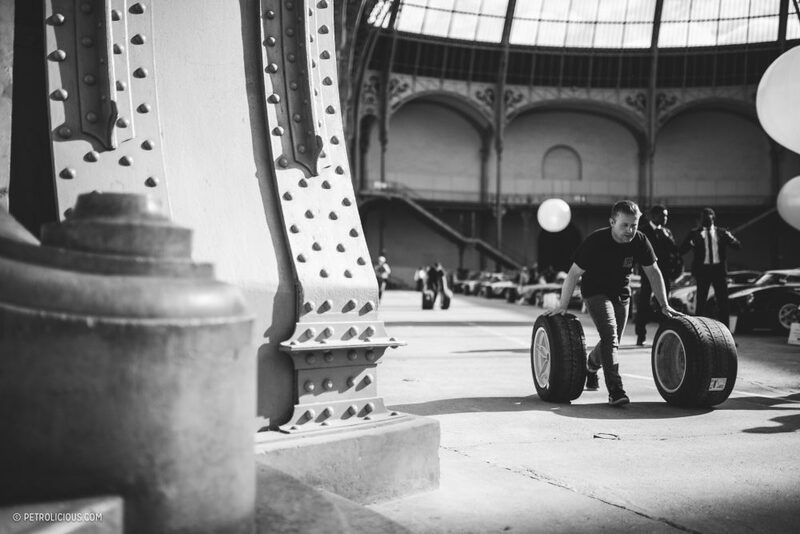 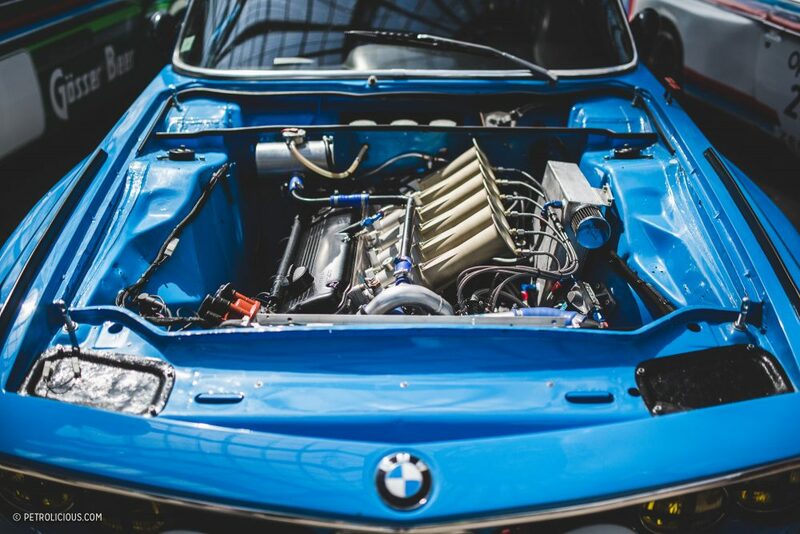 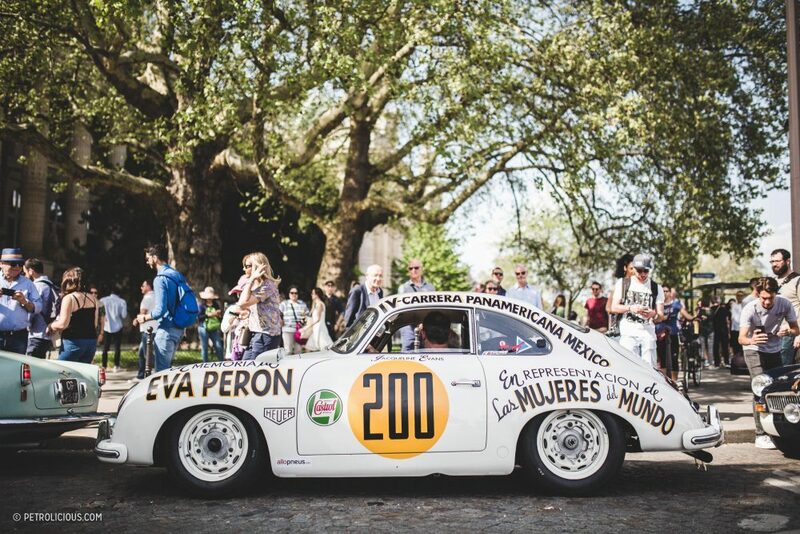 Peter Auto, the organizing body of the Tour Auto Optic 2000, gave the rendezvous point to all the teams and their cars in Paris at the Grand Palais on Sunday, April 22nd. 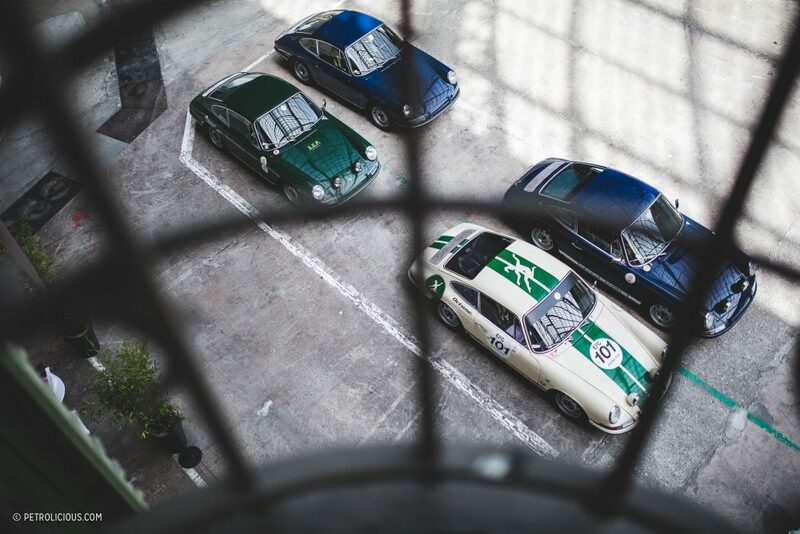 A marvelous place even without the cars, the green lattice of arches and buttresses and domes is full of airy light and complex architecture, and the glass roof overhead allowed plenty of sun to shine down on the excited gathering taking place below. 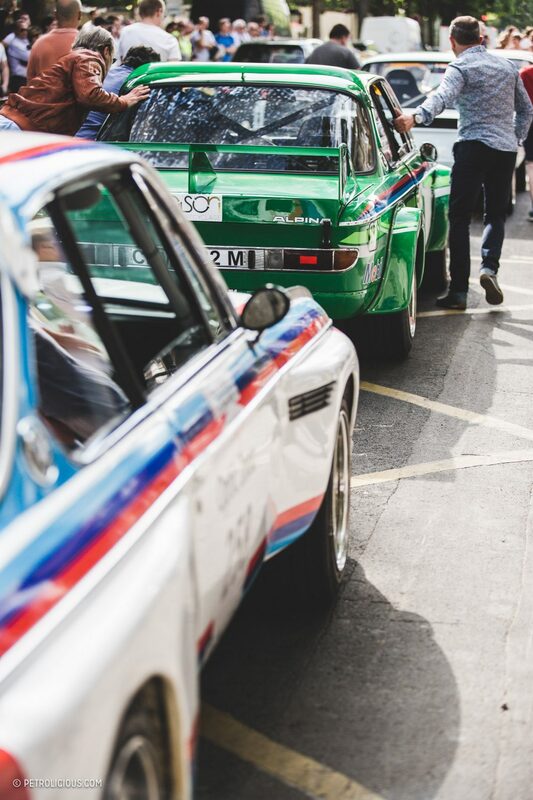 Full of cars in just a few hours, it was a already quite the scene before the first engines were fired in earnest. 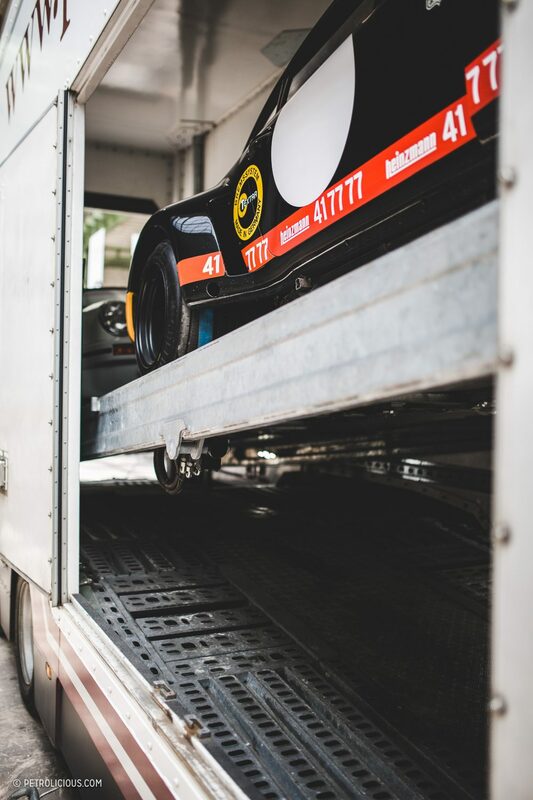 Heavy trucks came first to unload their cargo like huge transporters full of priceless steel and aluminum and fiberglass. 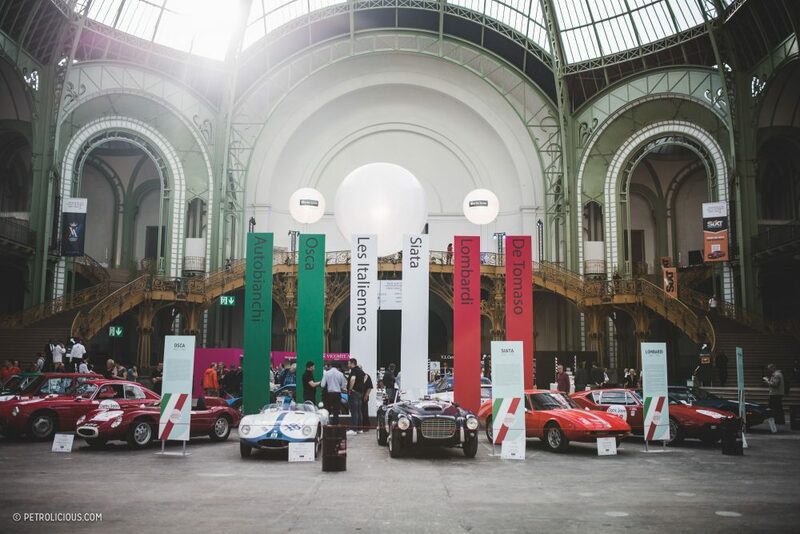 Not all arrived in such fashion though, and soon after the remaining cars were arriving all around the exterior of the Grand Palais, queued to enter this gorgeous staging area. 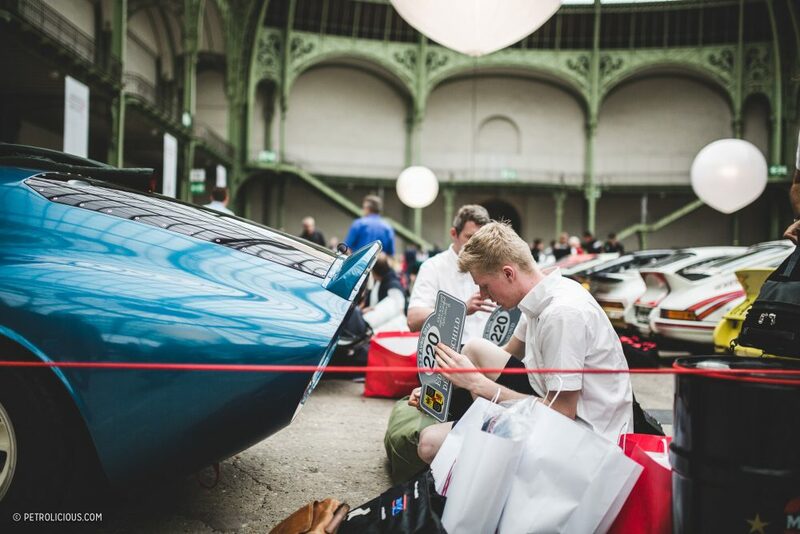 For a few hours the Grand Palais turned into a different type attraction than it is for the rest of the year for the tourists walking around, and in the evening the doors were closed on the grouping of cars waiting within, all perfectly aligned and segmented by provenance or marque or alongside former competitors. 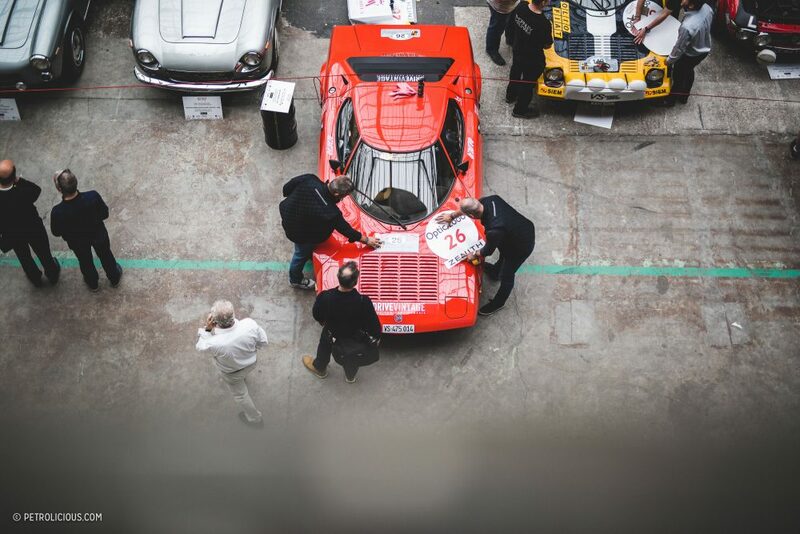 The following day was time for technical verifications, final prep work, and of course, the application of the event liveries. 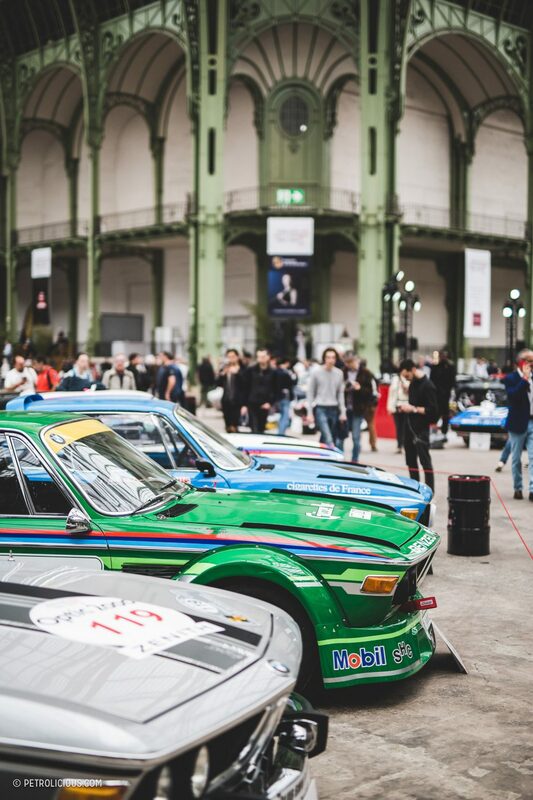 It was also the opportunity to nose about in the isles to have a closer look at the cars that would soon be leaving Paris en masse. 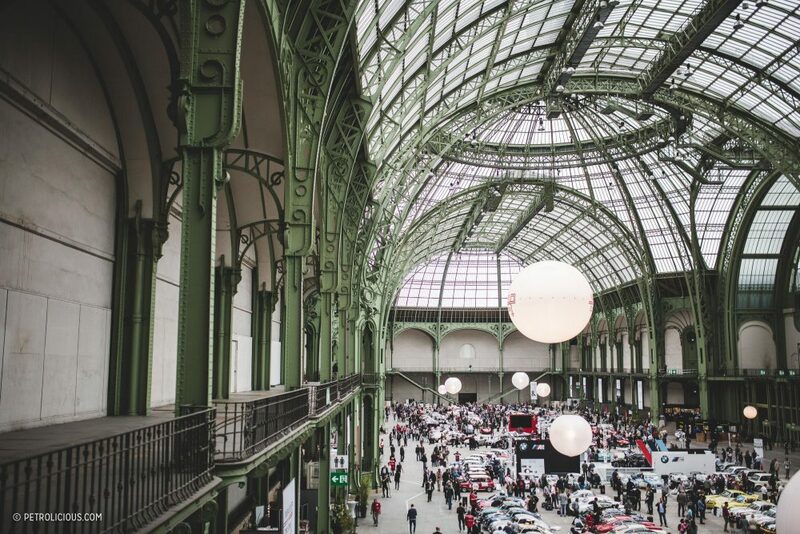 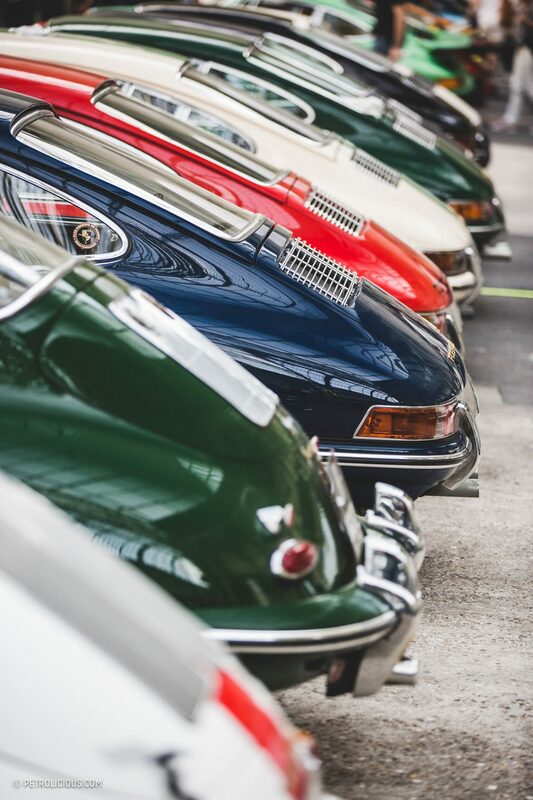 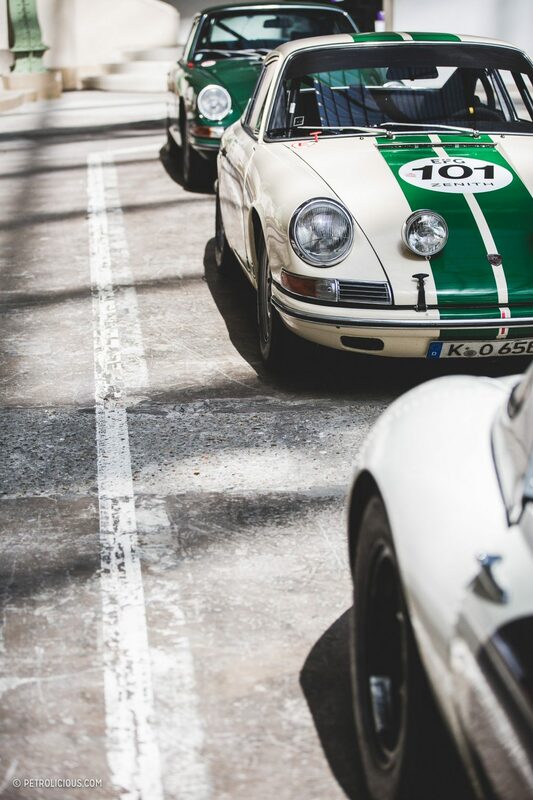 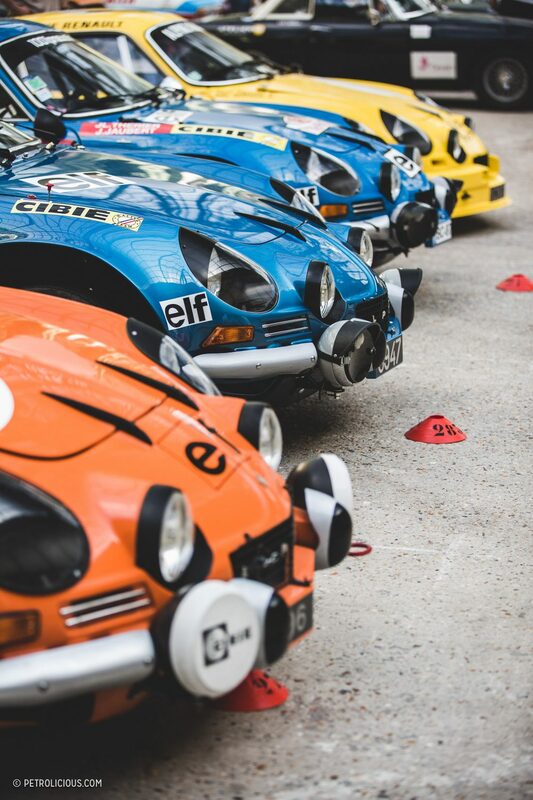 The Grand Palais is such a beautiful background to watch the lineups of Alpine A110s, Porsche 911s and 356s, Ferrari 275s, Jaguar MK2s, Cobras, BMW 3.0 CSLs, you name it. 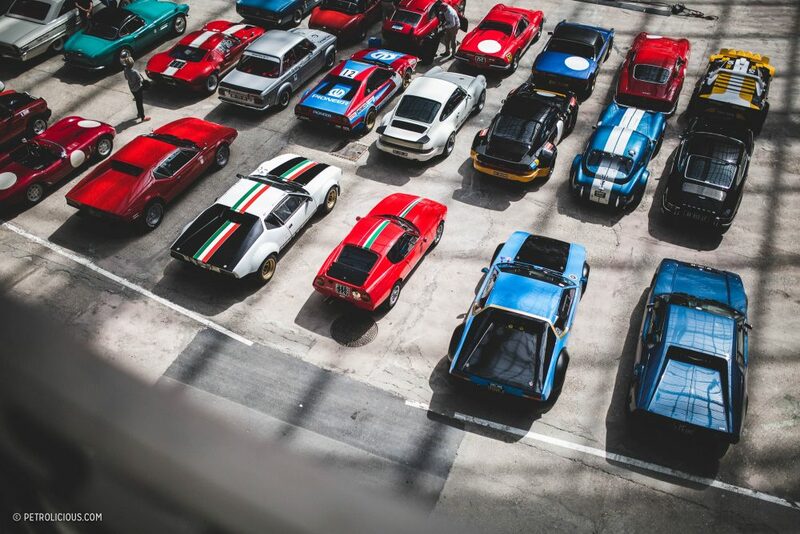 For the 2018 running of the event, the Peter Auto group decided to dedicate the edition to extinct Italian marques with a fine selection of Oscas, muscled DeTomasos, tiny Autobianchis, and a rare Siata thrown into the mix. 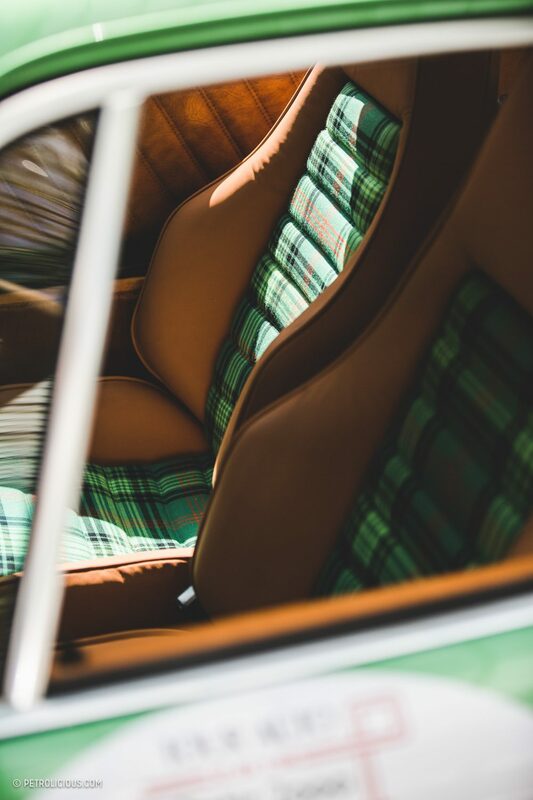 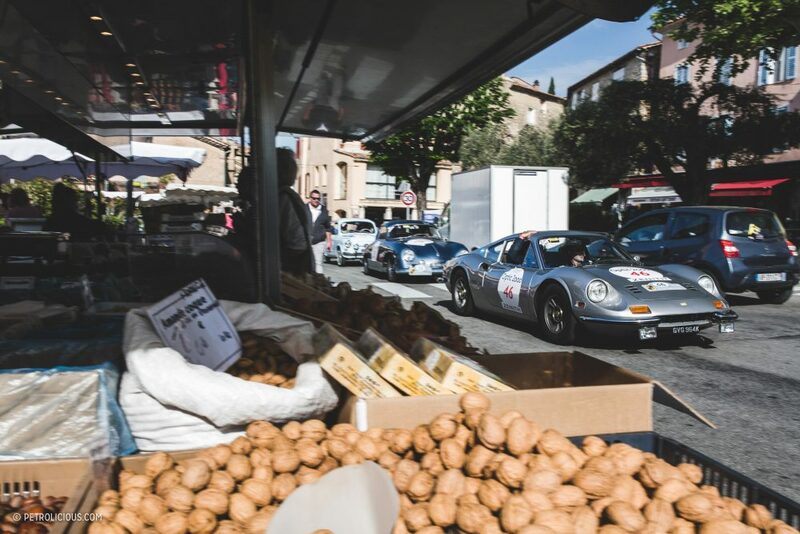 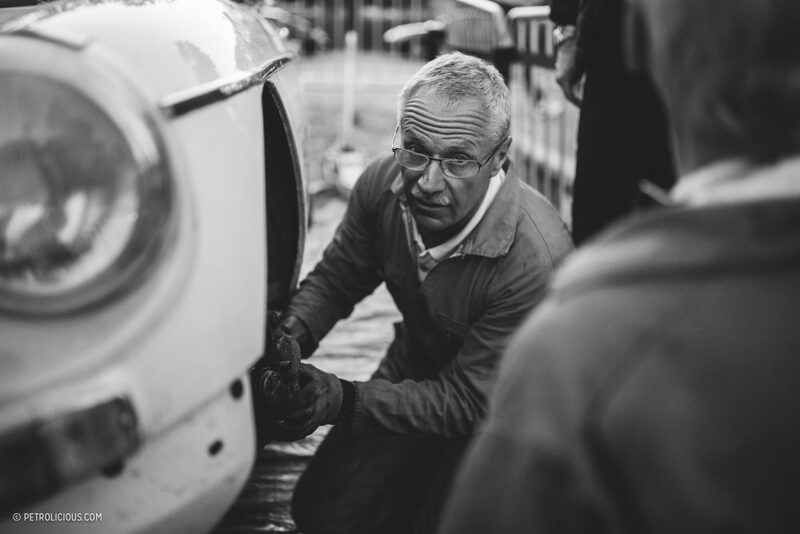 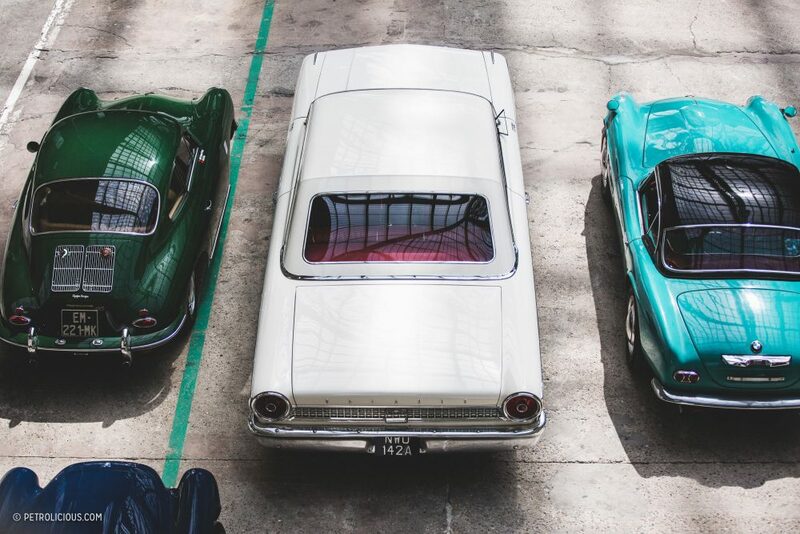 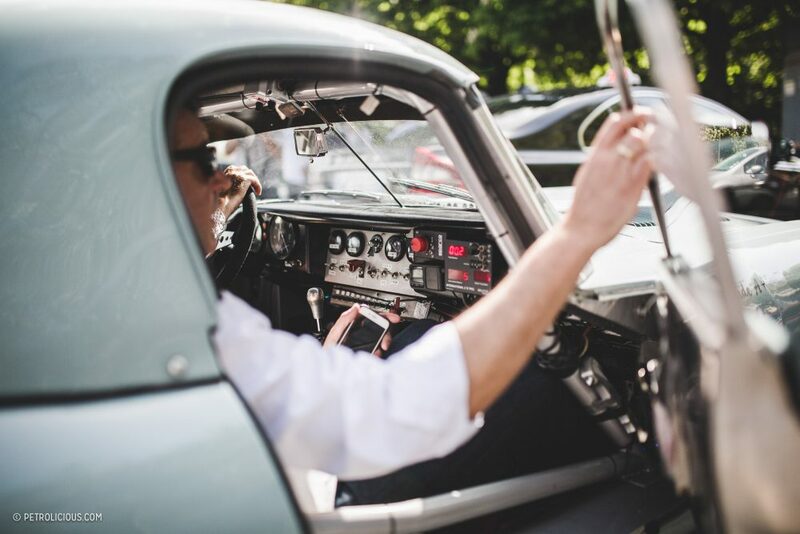 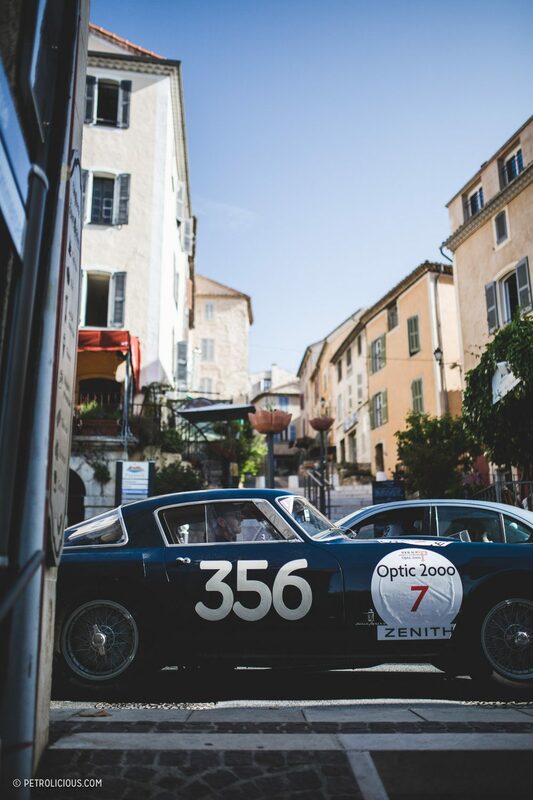 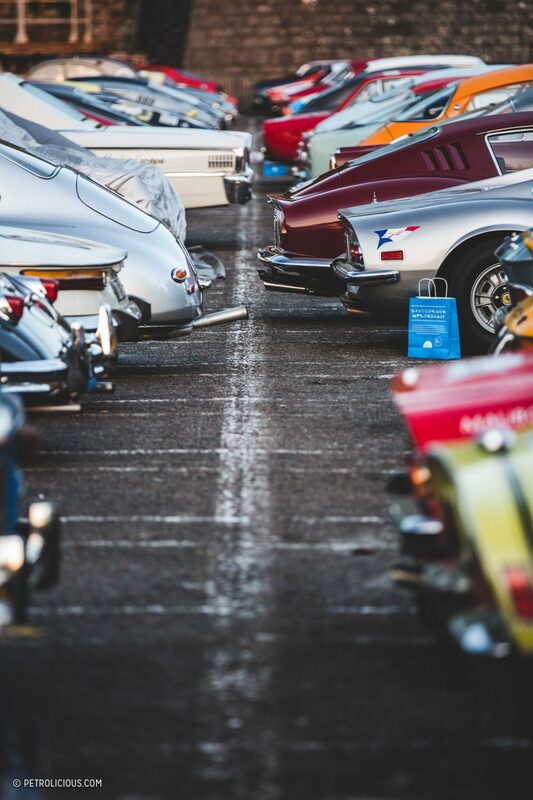 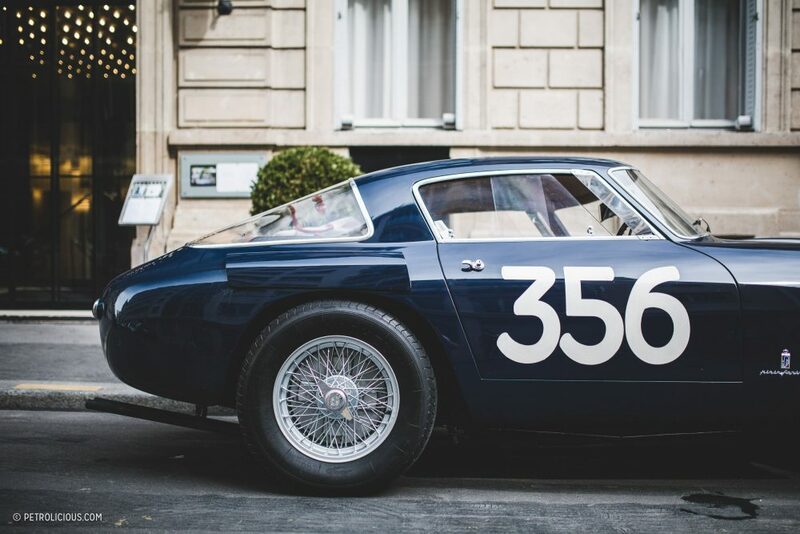 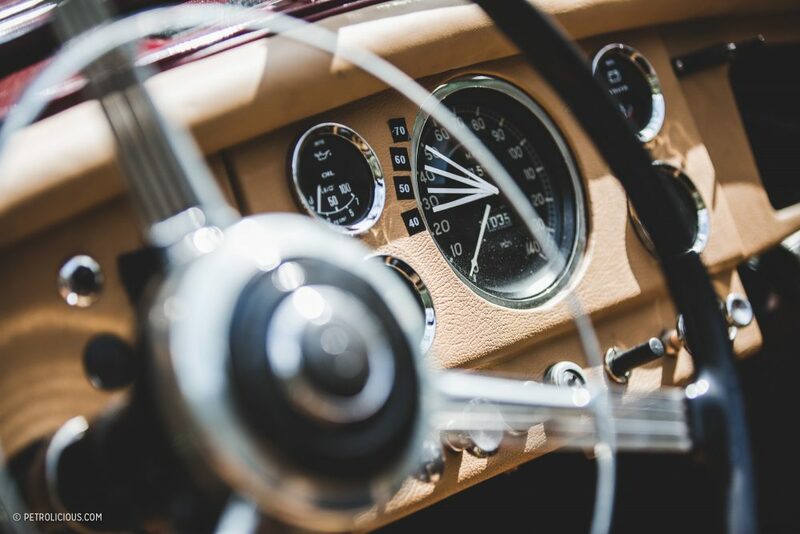 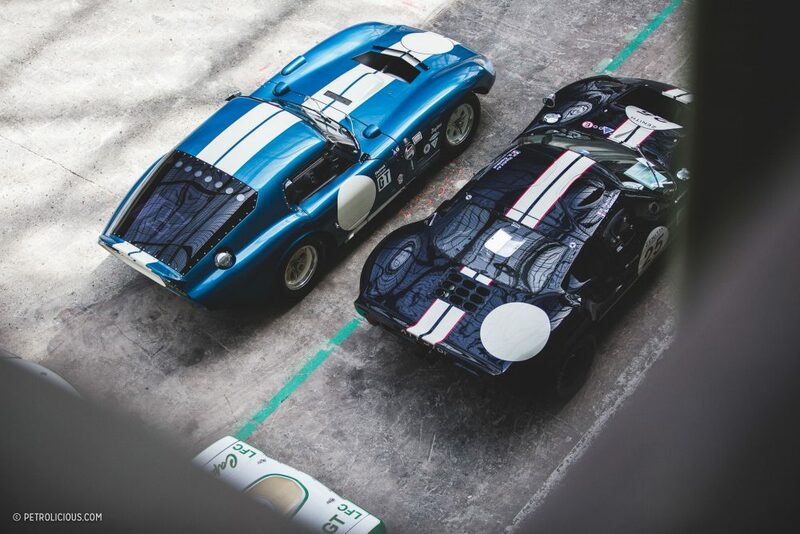 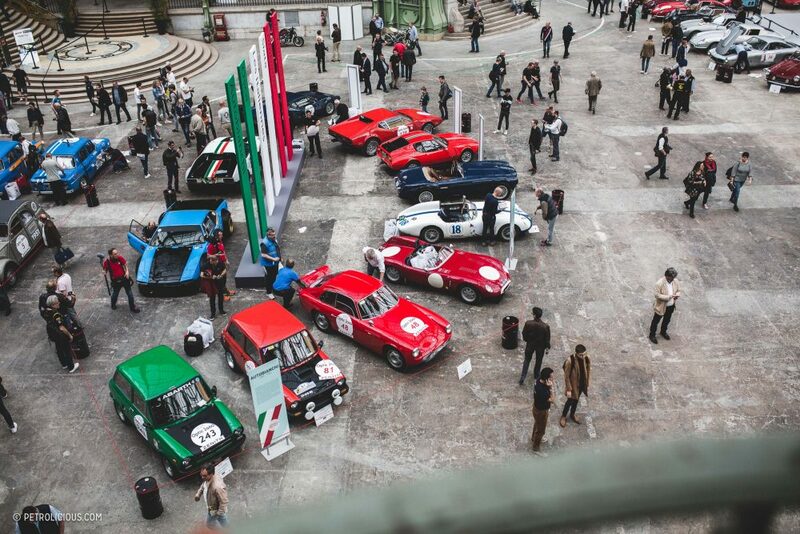 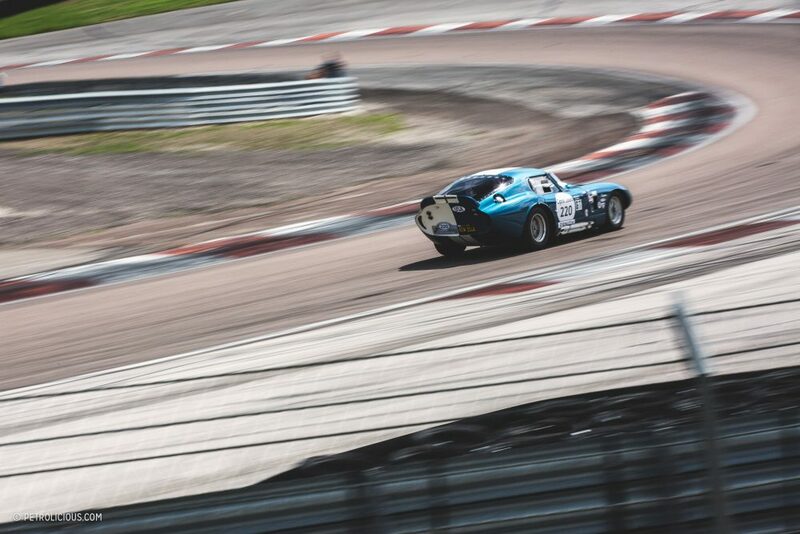 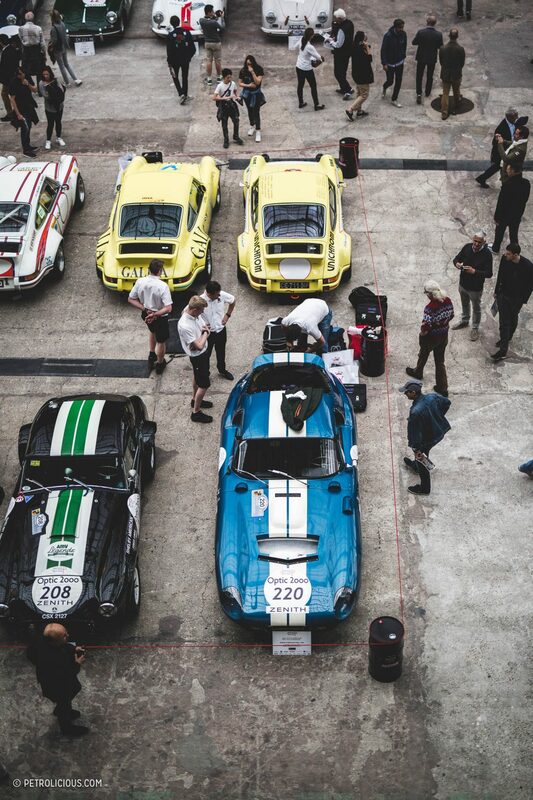 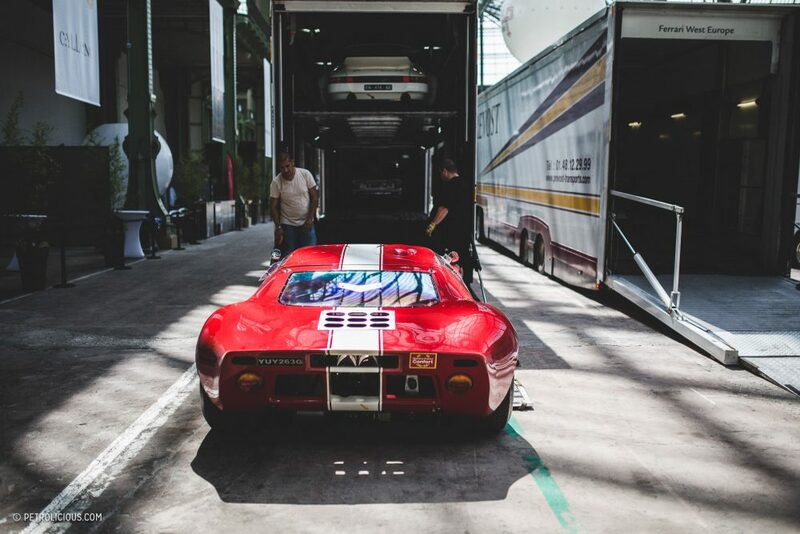 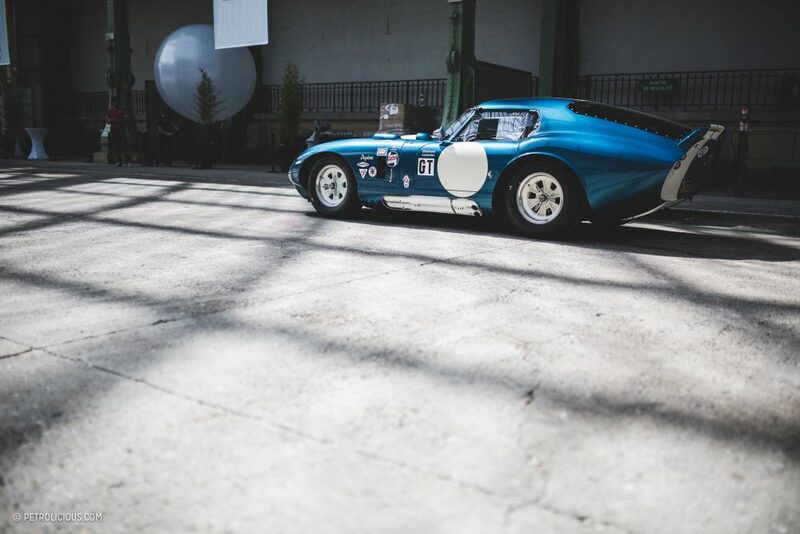 But beside this highlighted handful of Italians in that corral, some rarities of different origin were impossible not to ogle as well, cars such as an incredible Shelby Daytona Cobra and a Ferrari 250 Mille Miglia. 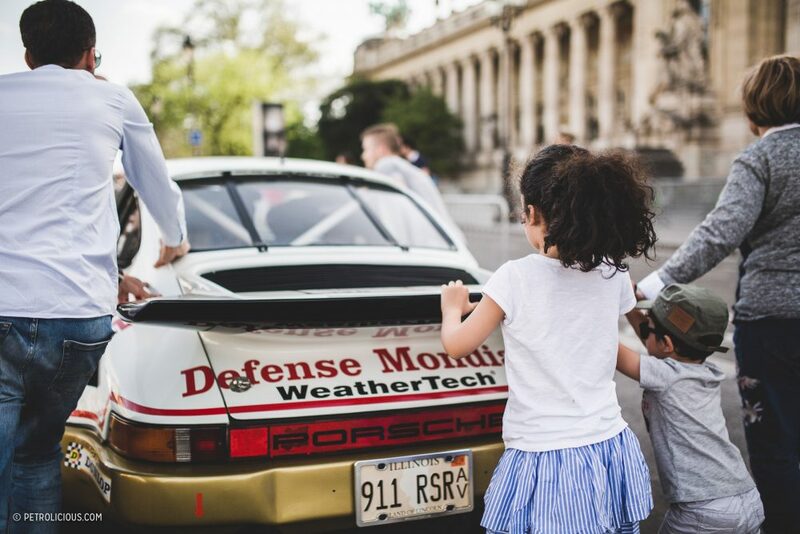 Watching all these cars side-by-side getting ready to hit the road got everyone excited to leave Paris, but we would have to wait one more day. 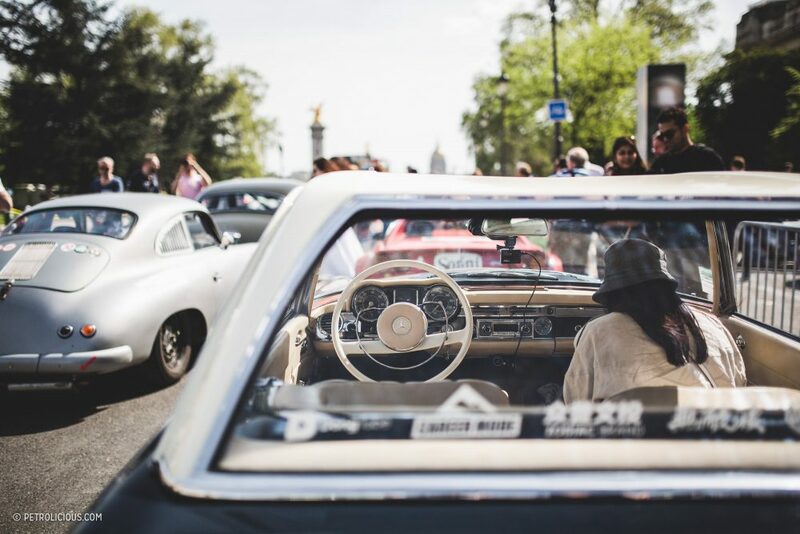 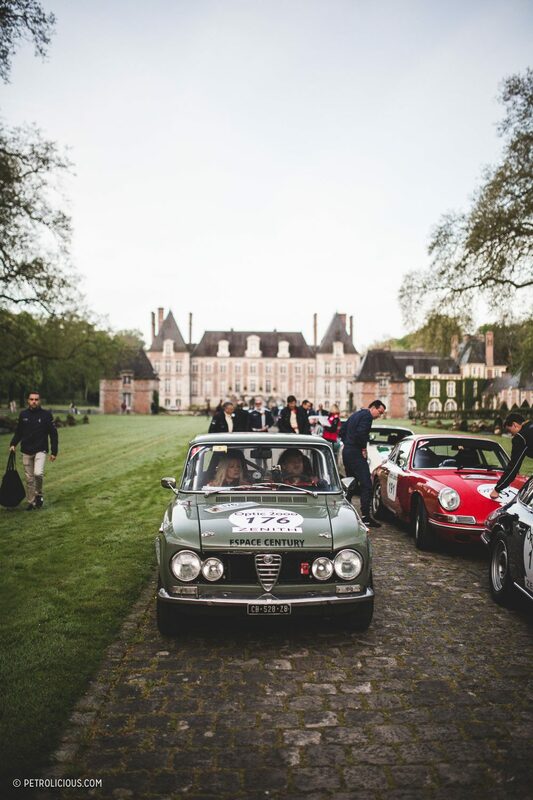 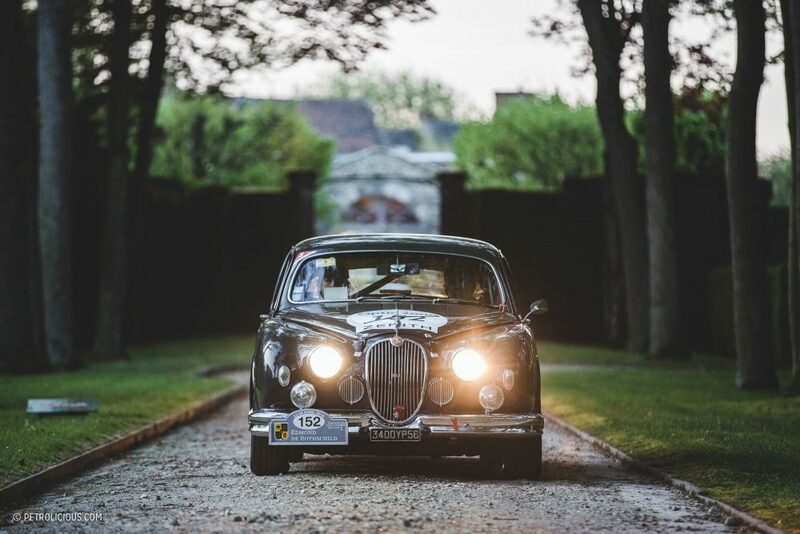 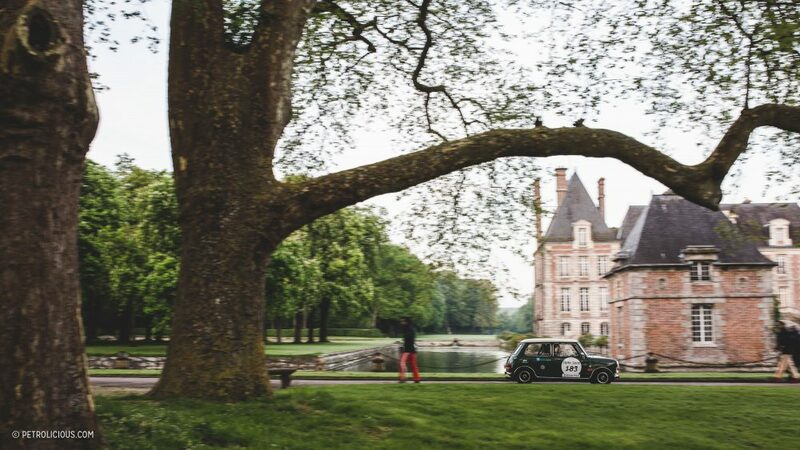 On Tuesday, in the very early morning, the procession of starting cars woke up the city as we left the Grand Palais to reach the Château de Courances, just south of Paris, for the official starting line of the Tour Auto. 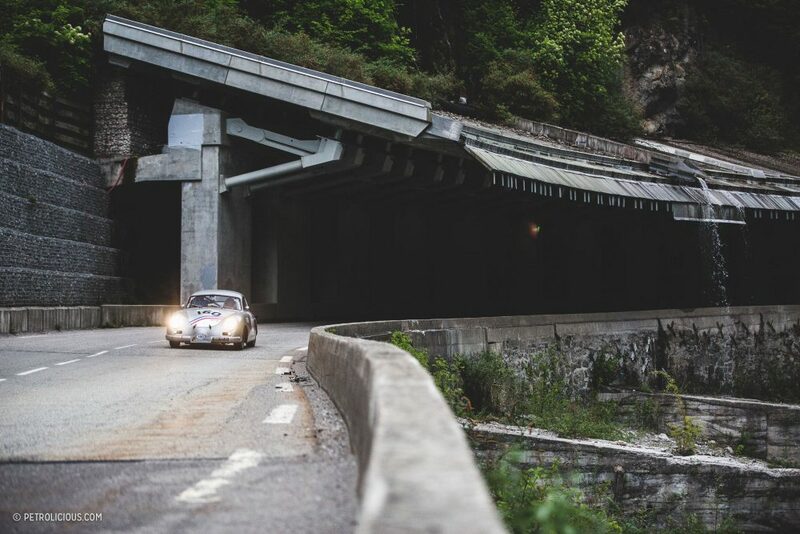 7AM, with road books in hands, the cars set off in the direction of Besançon, in the east of France. 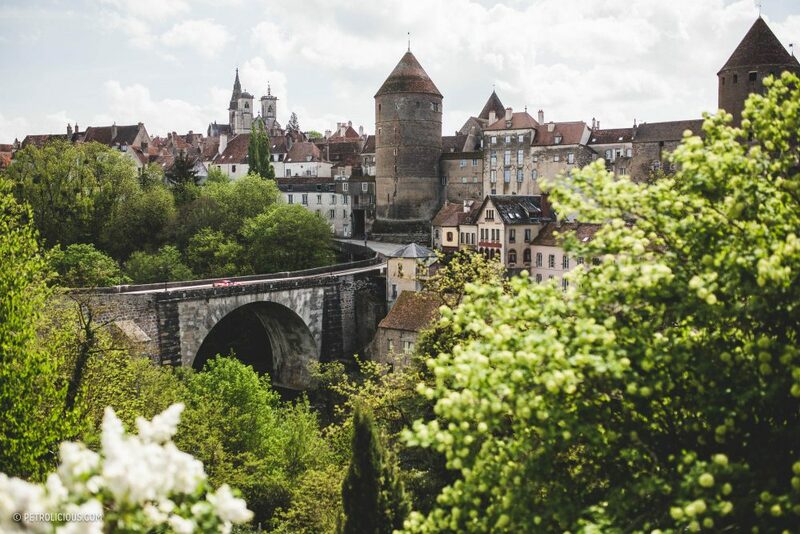 We crossed numerous landscapes with blooming fields and hillsides signaling the coming summer, and of course, plenty of picturesque villages. 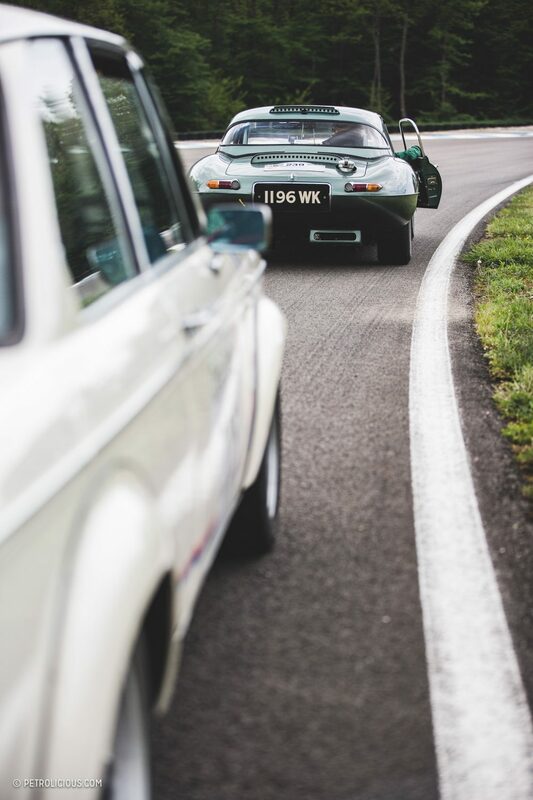 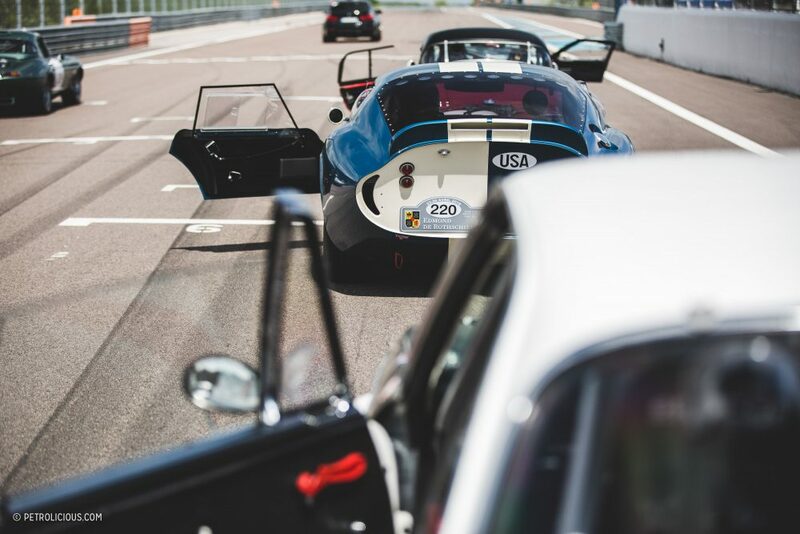 You can’t imagine the number of people stopped on the side of the road waiting for and watching the infinite convoy of racing and classic cars! 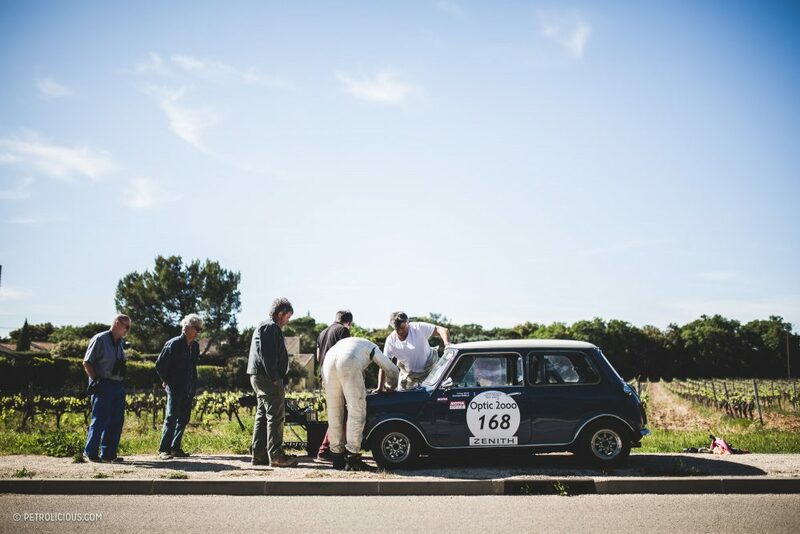 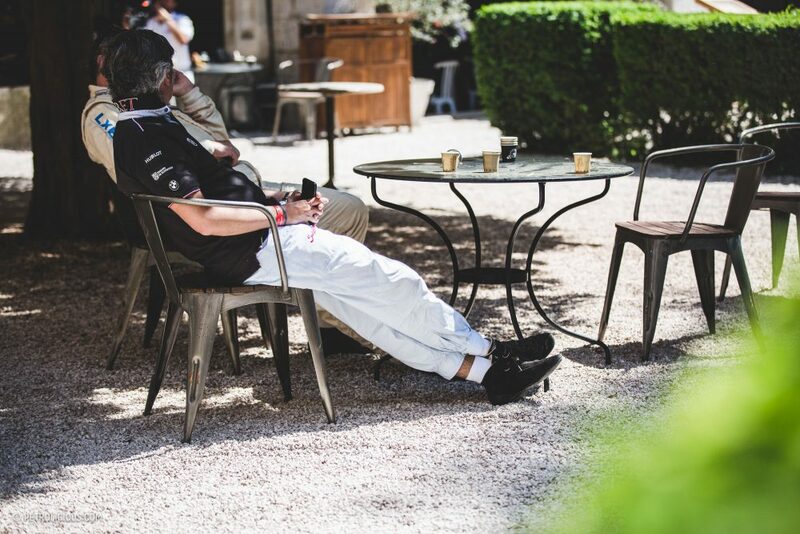 Eventually we stopped and had lunch at the Circuit de Dijon-Prenois after the first special stage of the week. 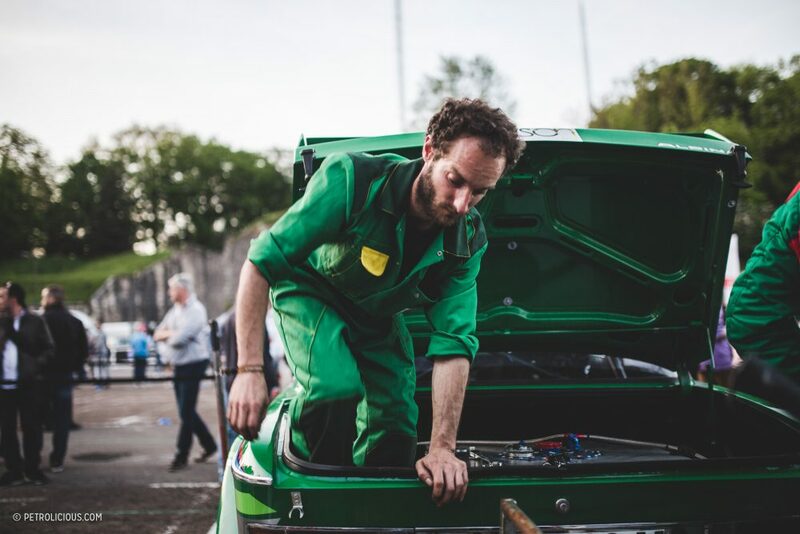 We ended the day with a huge mechanical overhaul on the paddock of Besançon and we already counted the first cars to abandon the Tour. 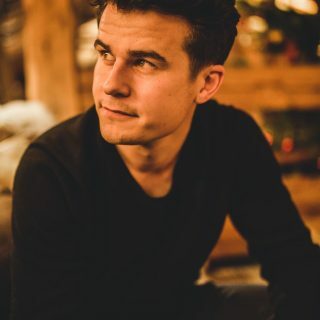 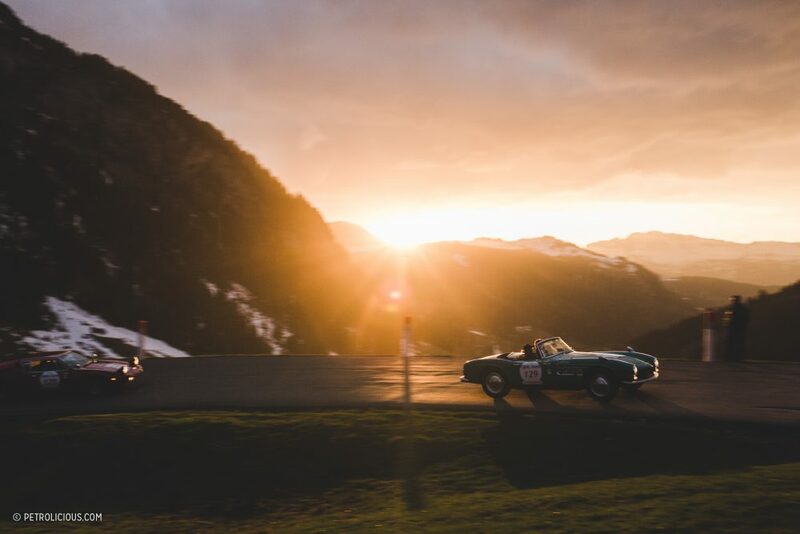 The Tour Auto is a tough race after all, going from sunrise to the sunset for a five days in a row; winning is great, but the most important thing is to simply finish. 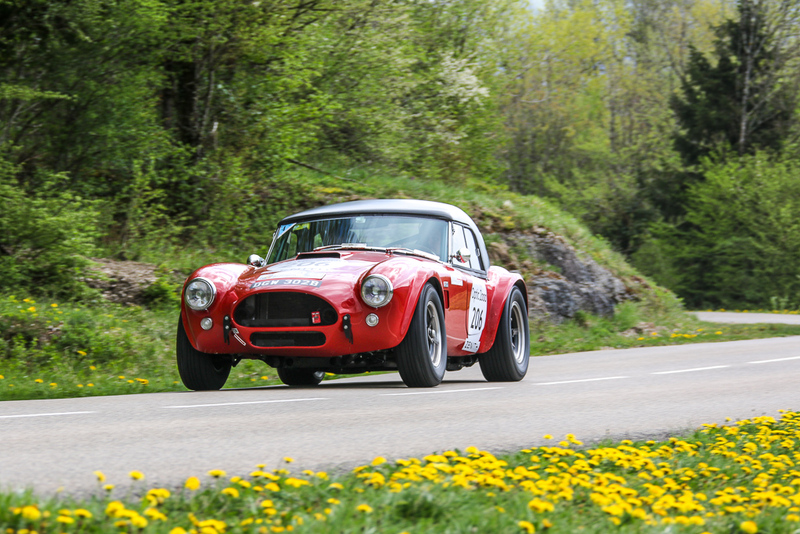 Day 2, Wednesday, saw us driving through the first mountain roads of the week, with two special stages and the Circuit de Bresse, pretty intense for the cars and drivers! 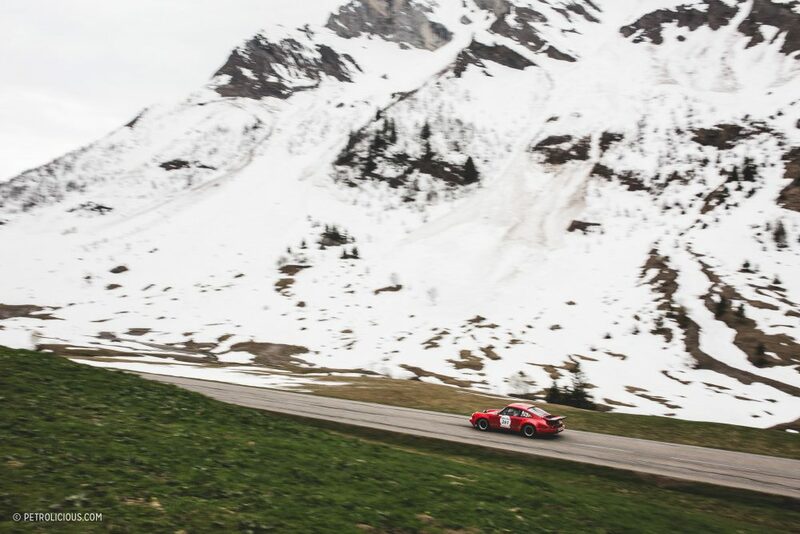 Just before we arrived in Megève the road book made us climb the Col de Aravis which offered snow but also one of the best sunsets I’ve been witness to, during a driving event or otherwise. 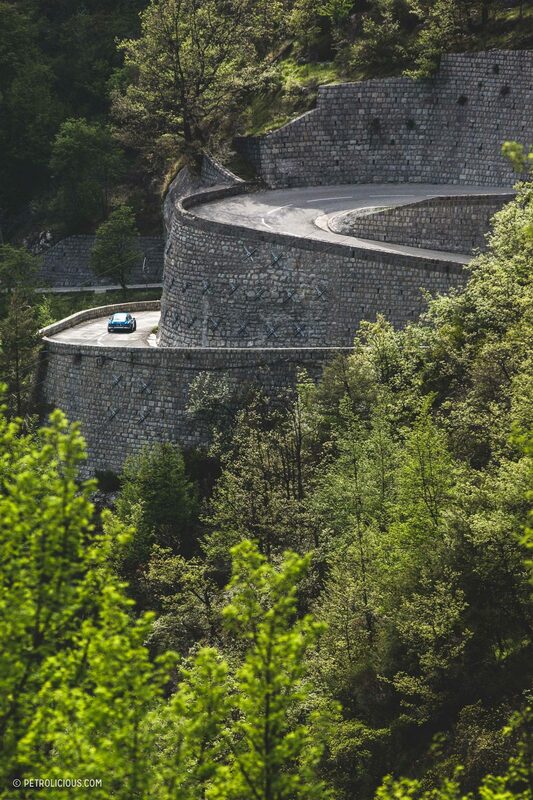 I was looking forward to this road all day, but sadly it was quite cloudy when we arrived for the sunset. 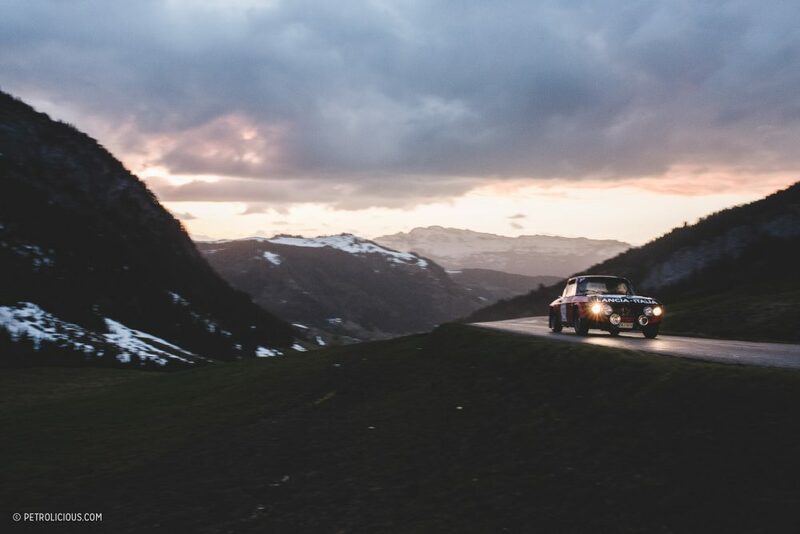 However, a lucky gust of wind blew away the offending clouds and allowed the sun to pop out for a few minutes just as it was setting behind the mountains. 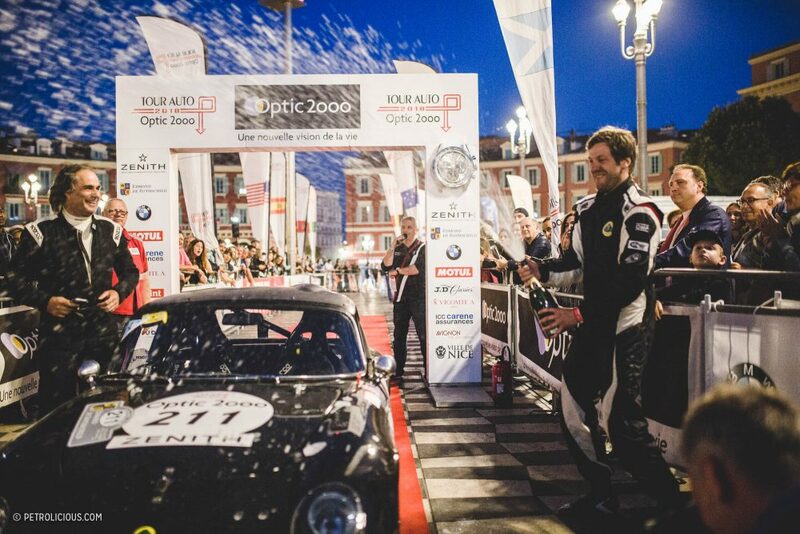 A memorable moment, to say the least! 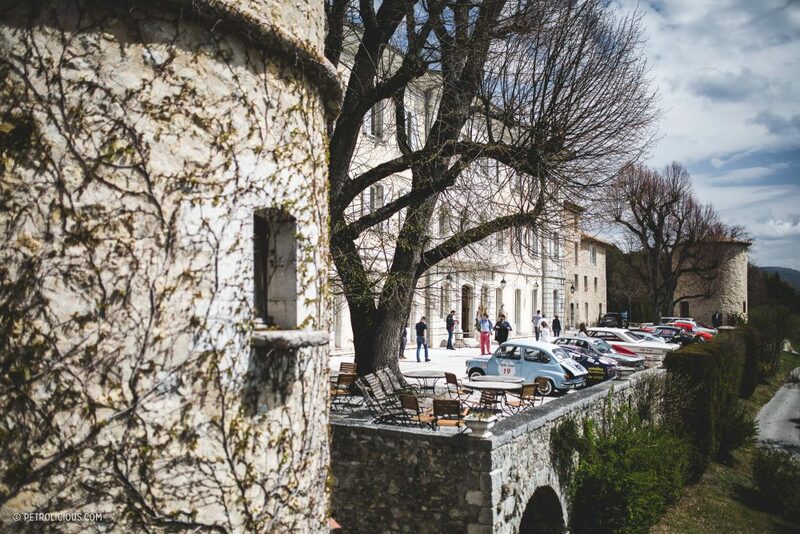 The next morning we set off in our convoy again, and we quickly reached the South of France, arriving in the city of Avignon. 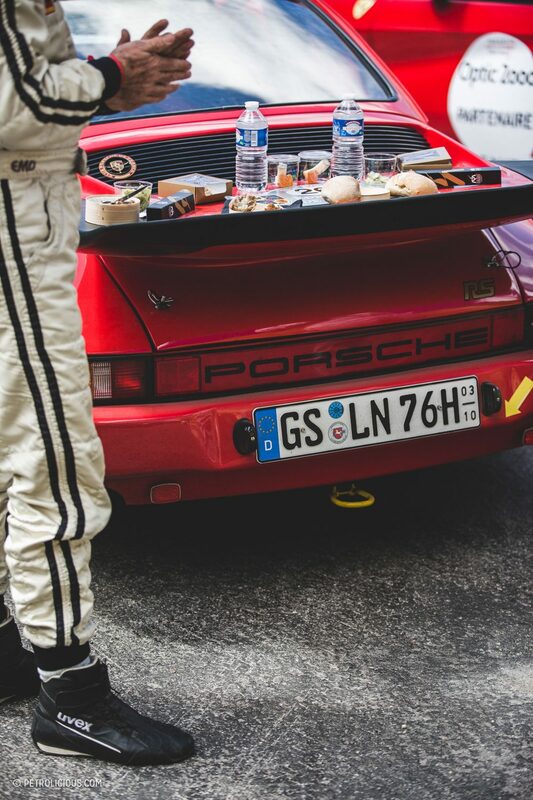 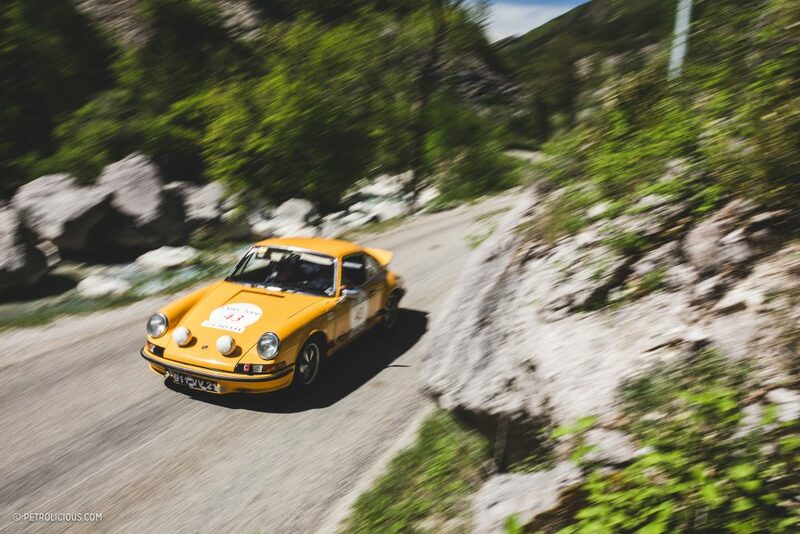 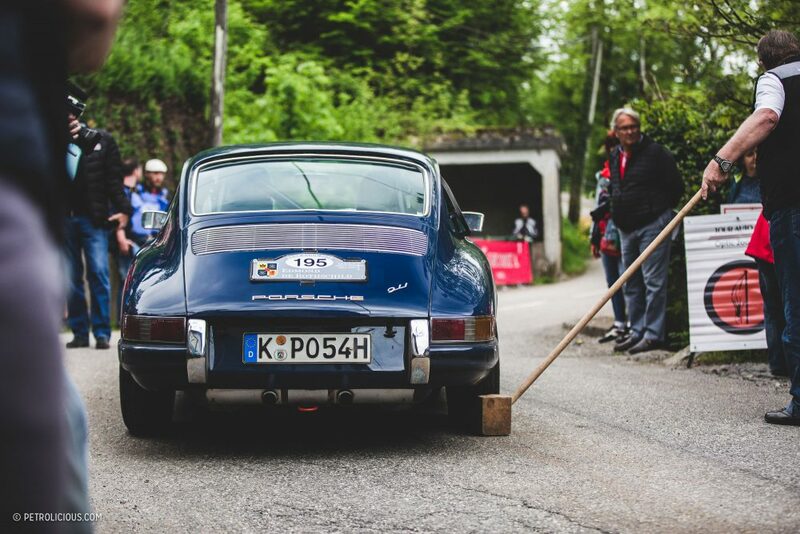 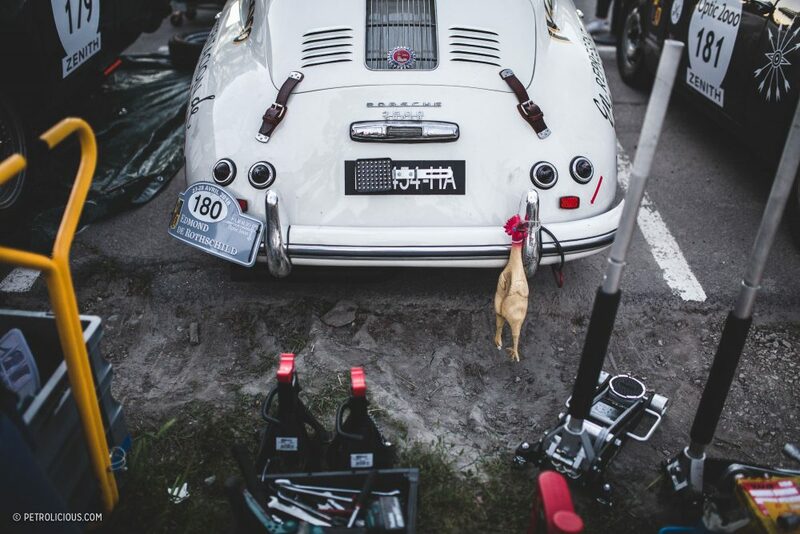 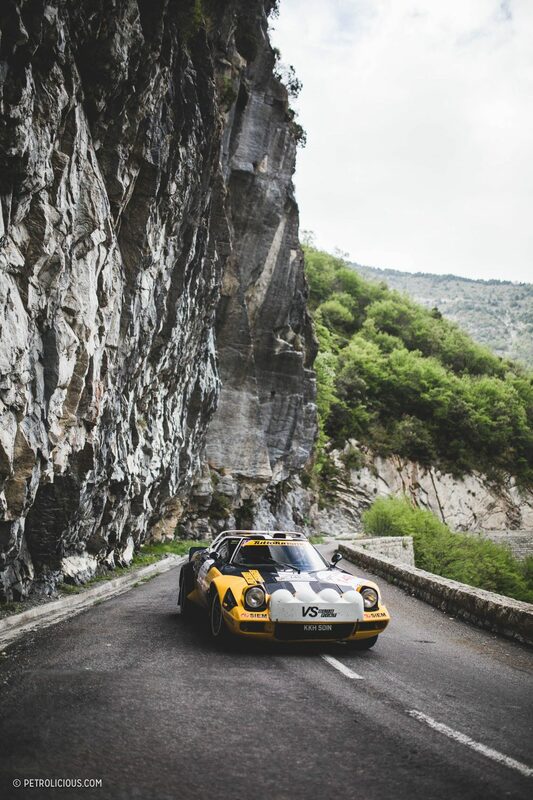 Once again, breathtaking narrow mountain roads were chosen for the route, and picnic baskets allowed the pilots and co-pilots to stop here and there for lunch as they pleased, giving exceptional scenes: where else in the world can you see a 911 3.0 RS stopped in a mountain pass with the wing used as a picnic table? 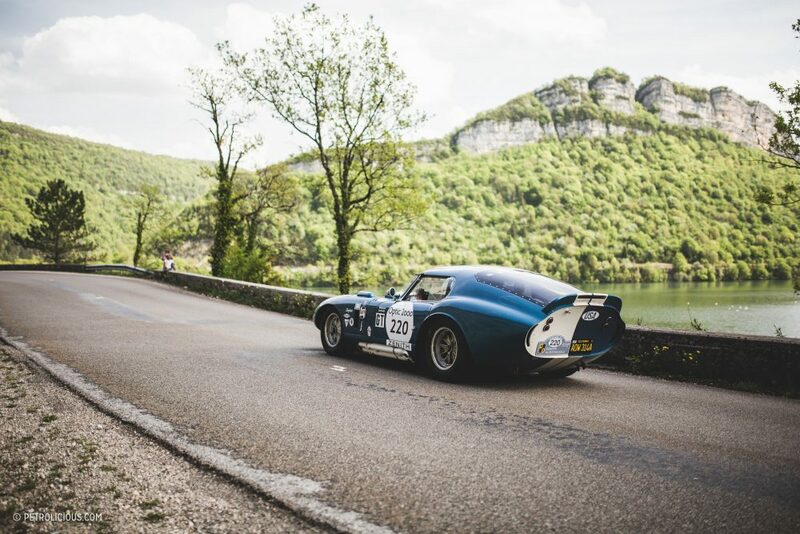 The second part of the day was a bit more hectic because of an incident that forced the cancellation of one of the planned special stages, and so the cars bypassed it and instead went straight to the next stop, one of the most beautiful racetracks of France: Lédenon. 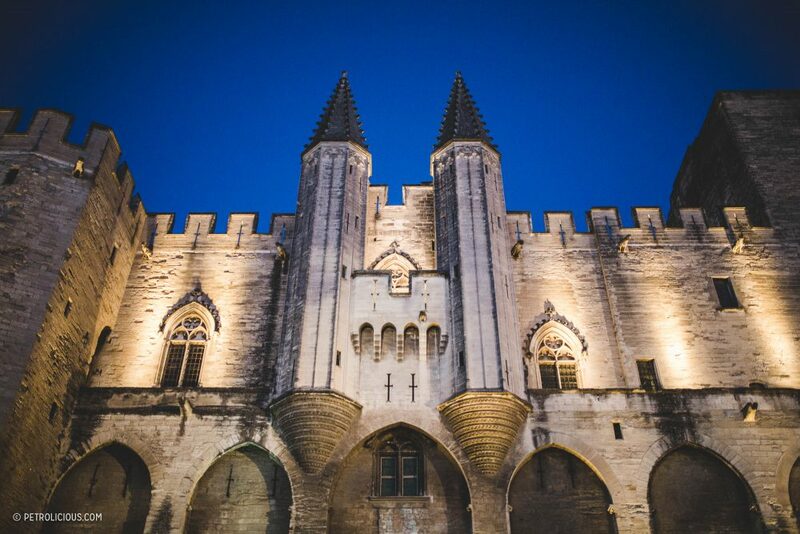 The day ended in a medieval-era palace in the heart of Avignon: the Palais de Papes. 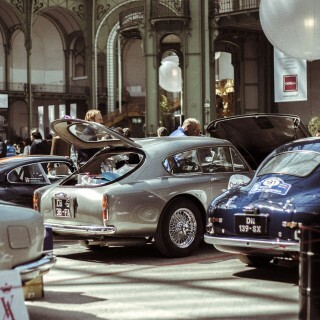 We would have spent the whole night here if we were not already so exhausted! 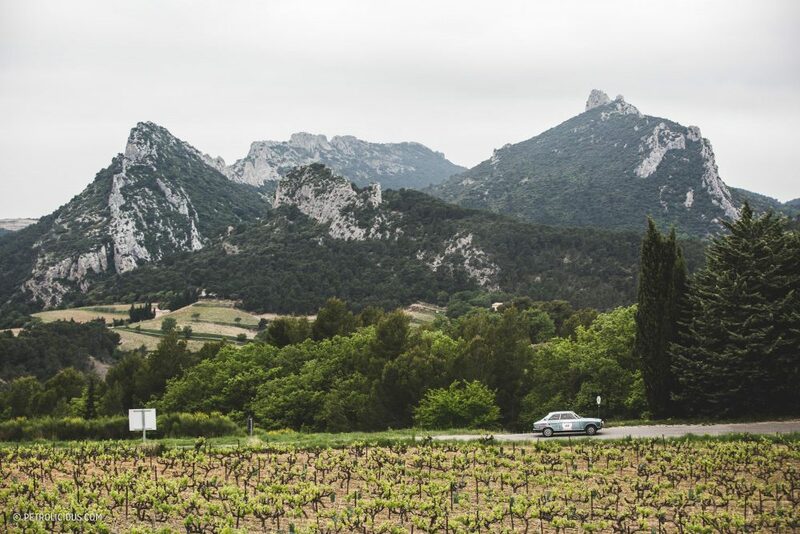 The journey on Day 4 was a huge loop of driving that would reach Aix-en-Provence through the vineyards and the typical Provencal roads. 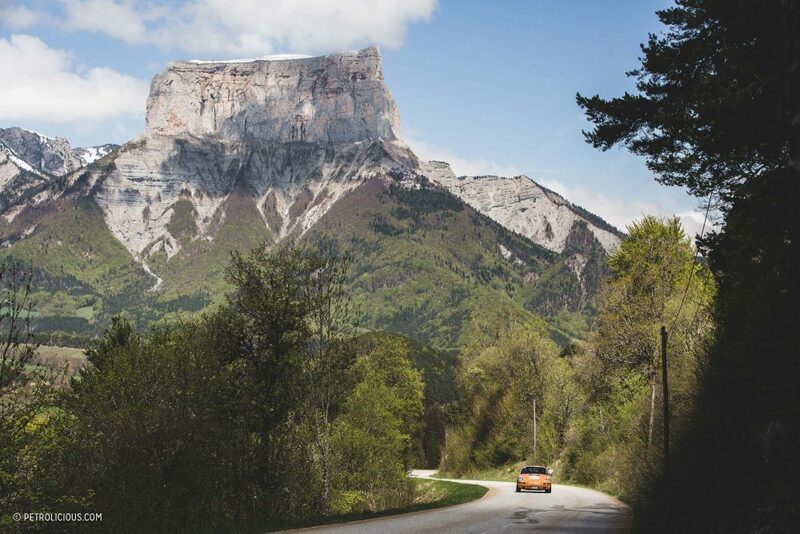 The first special stage of the day offered a wonderful view on one of the most famous mountains of France: the Mont Ventoux. 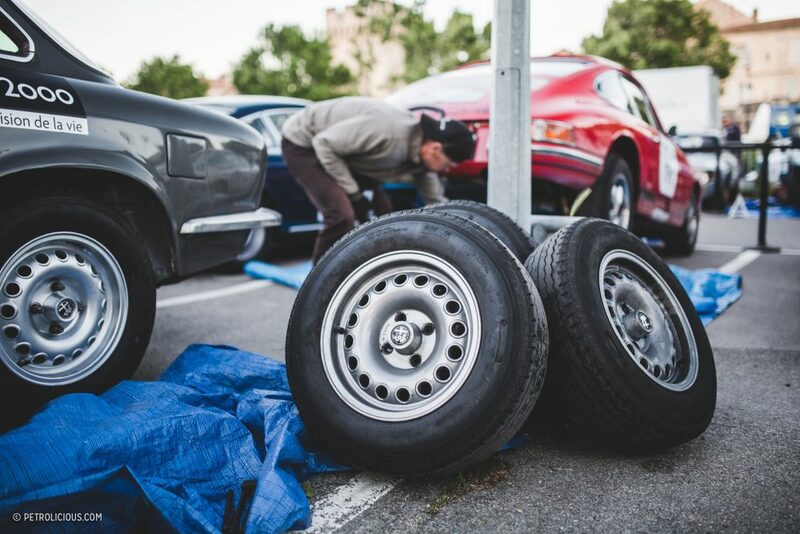 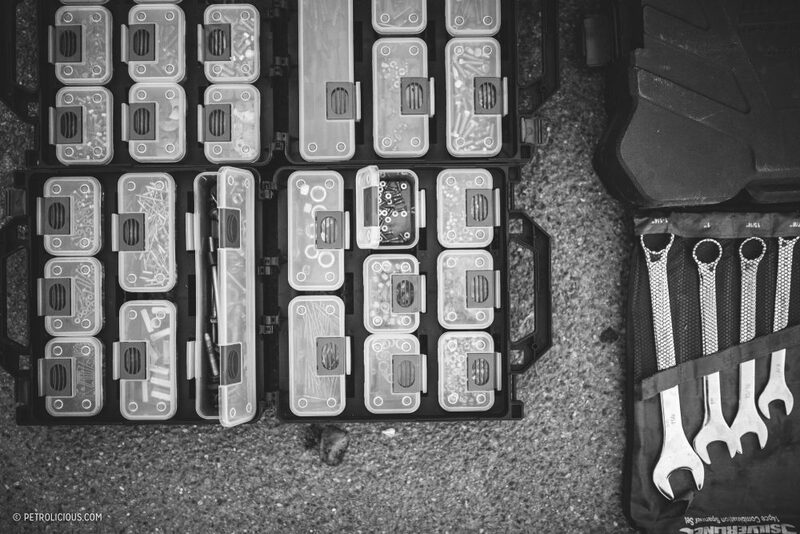 The lunch place of the day allowed me some time to walk around the parking lot, inspecting the cars that I’d seen shined up and pristine a few days earlier, now covered in dirt and bugs and sporting a few new stone chips earned along the way. 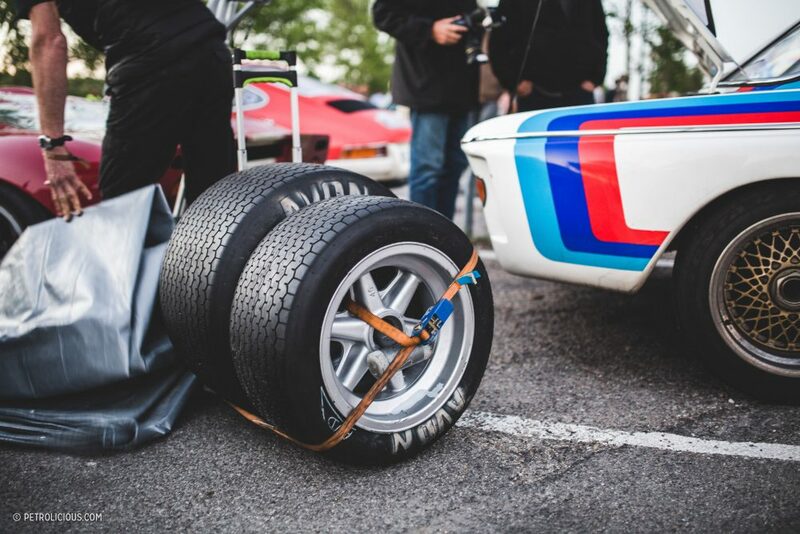 This is how I like them the most: when they are used! 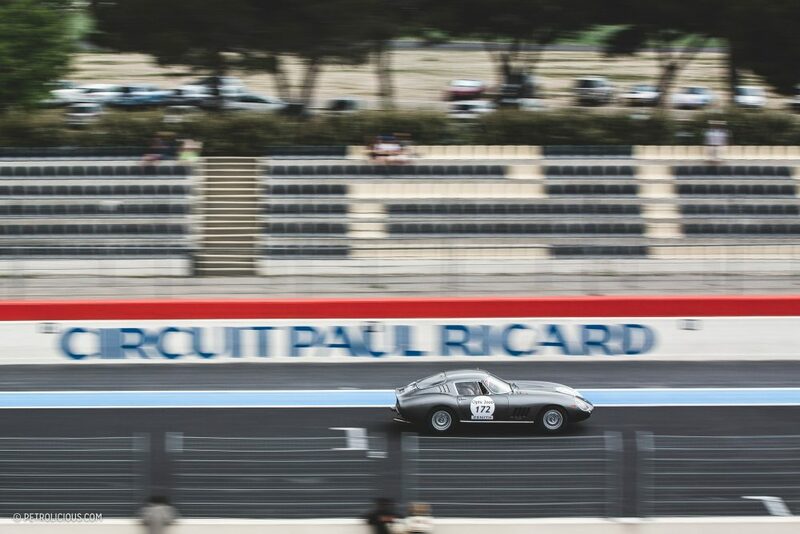 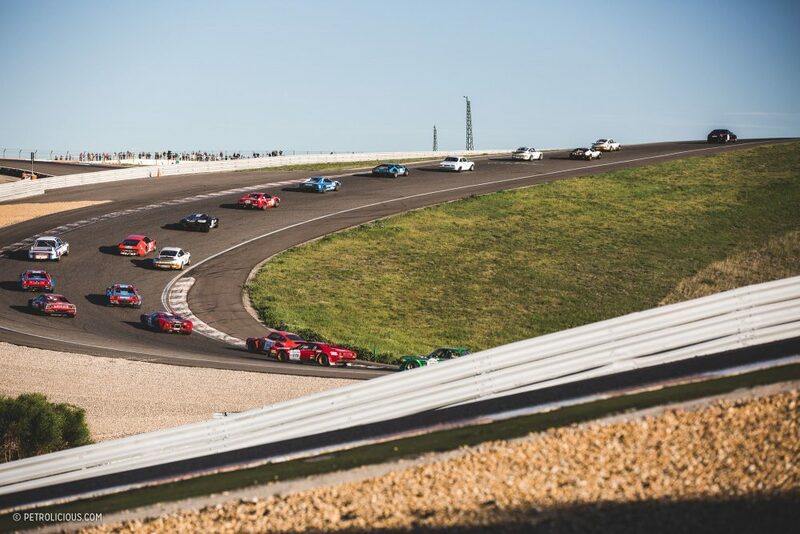 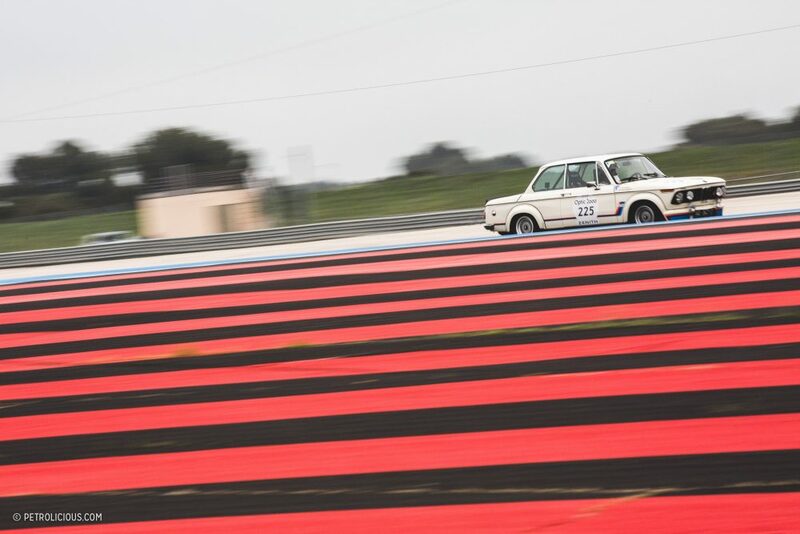 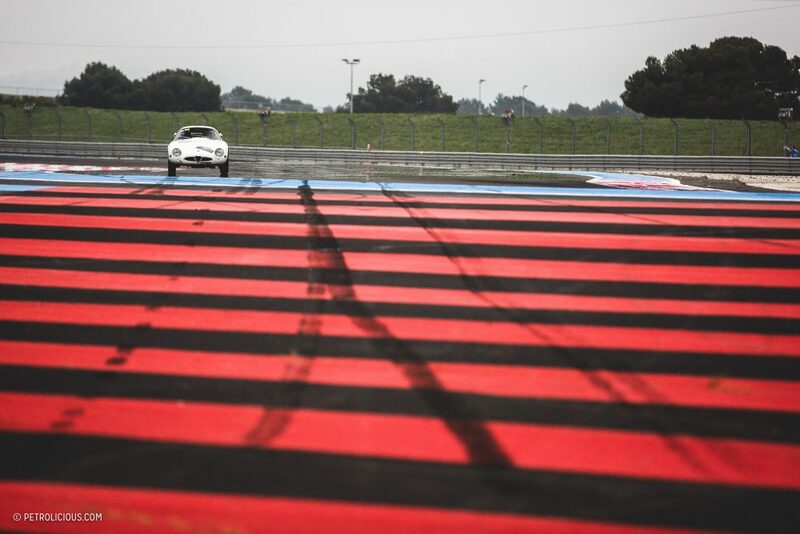 The day ended at the country’s famed Circuit Paul Ricard, recognizable for its red and blue run-off lines. 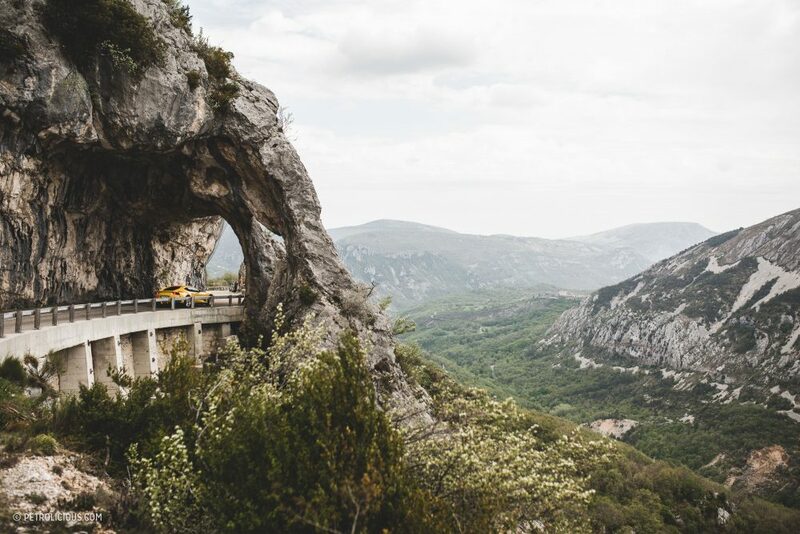 Of course, the final day had to come at some point, but if we were sad to see the end of the week on the horizon, it was great fun getting there: it usually takes about two hours to reach Nice from Aix-en-Provence, but with the Tour Auto the journey was cast out across an entire day of exquisite driving. 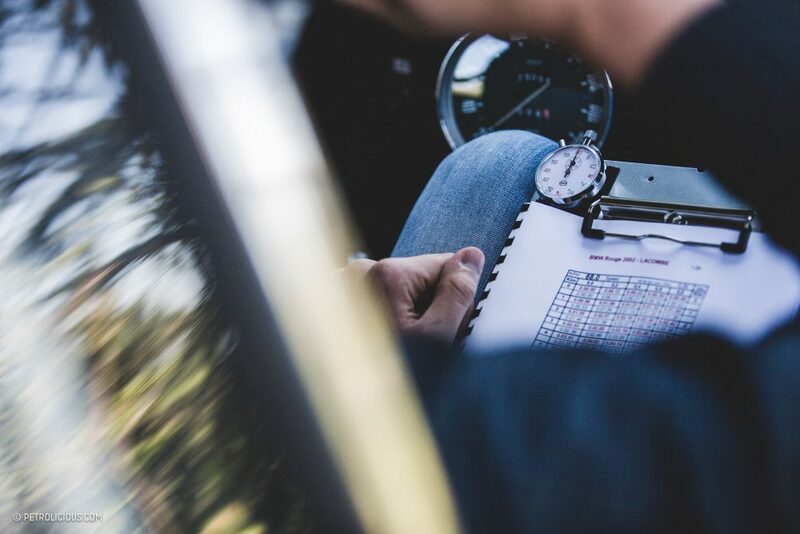 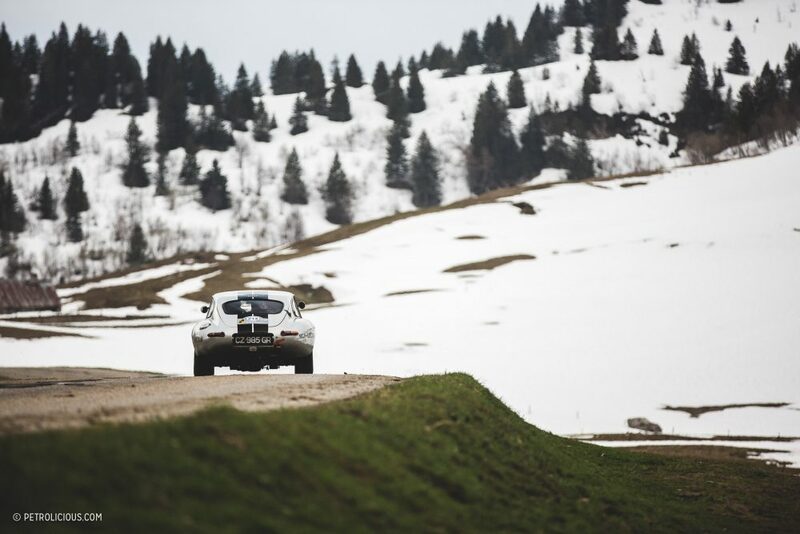 It was certainly a busy one, with three special stages meaning no leftover time for a circuit like in days past. 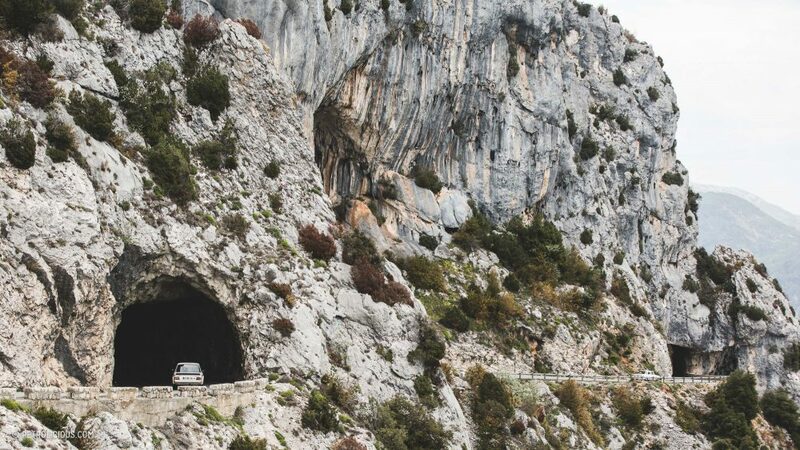 The Day 5 drive started in the village market and soon put our pack of cars in the mountains again, and at some points along the cliffside roadway, we were quite literally in the mountains as we scurried along under the stone archways and through the tunnels cut into the intense landscape. 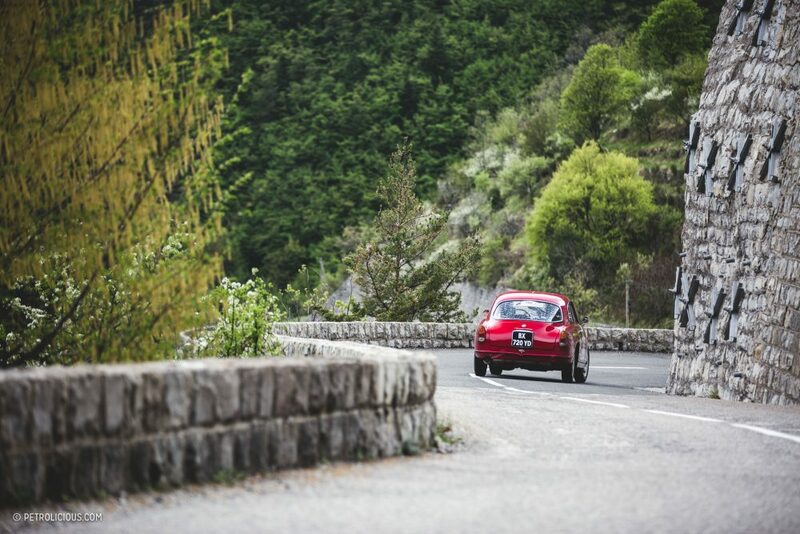 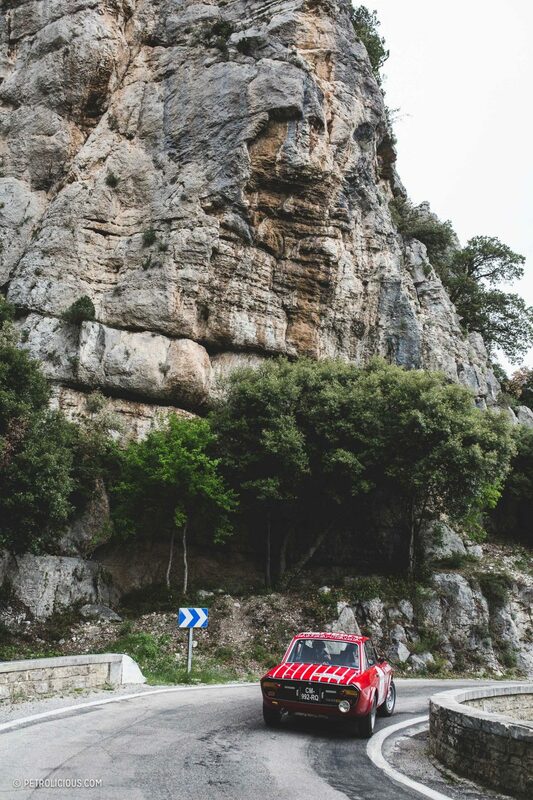 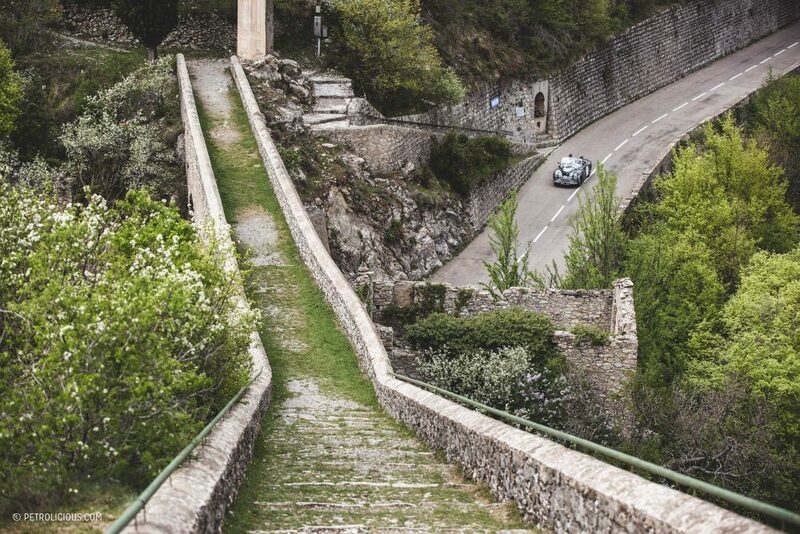 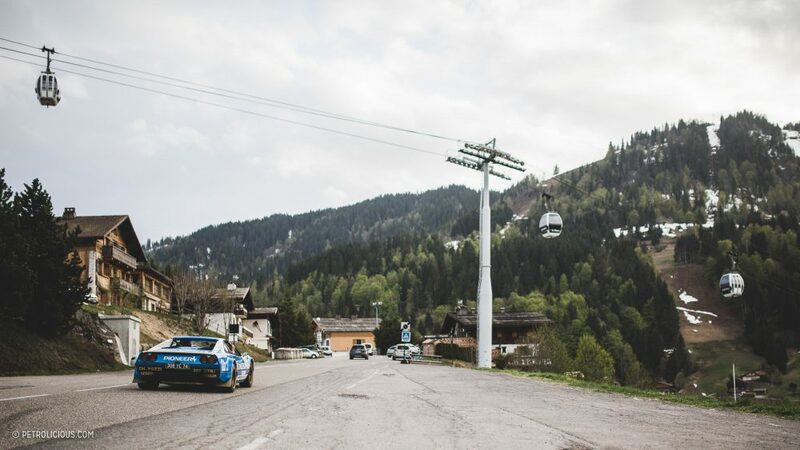 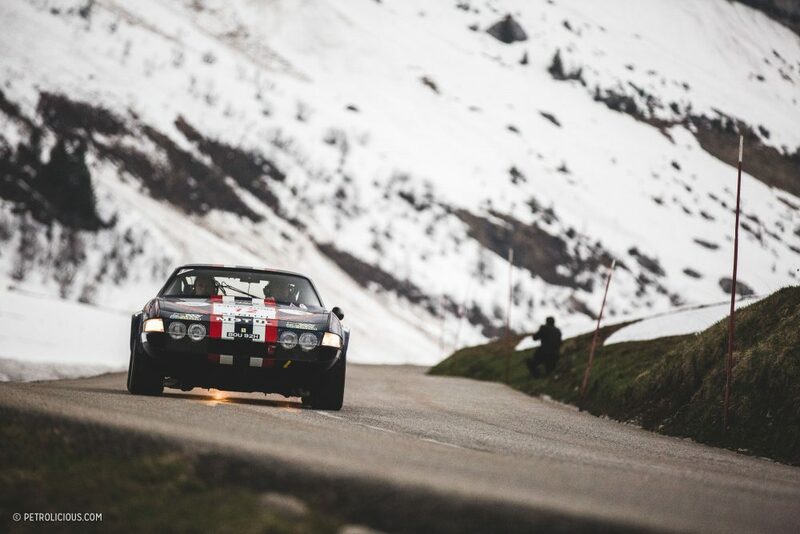 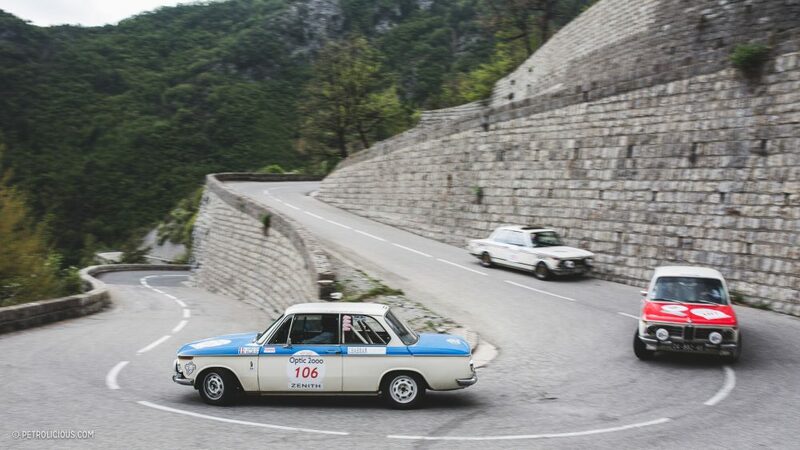 Just before we could see the Mediterranean Sea, the final stage of the Tour Auto took the road of the mythical Col du Turini! 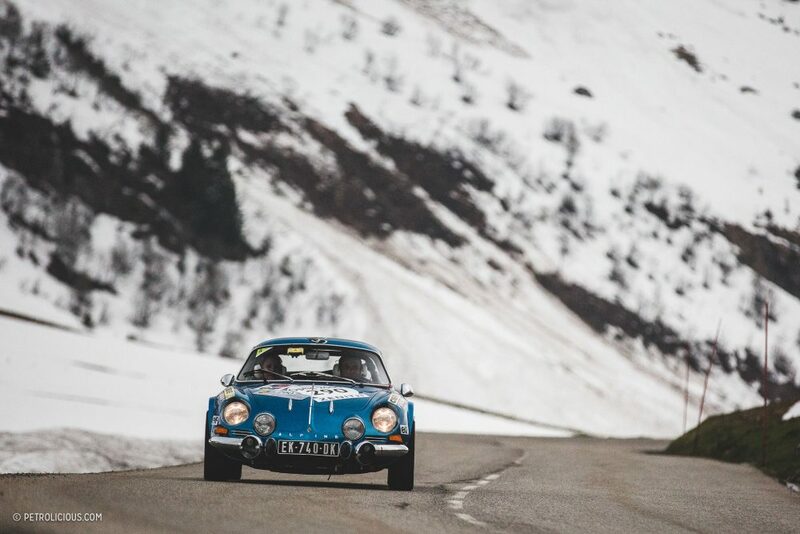 The Rallye Monte-Carlo atmosphere was pretty surreal at times, and whenever we were alone on the road it really felt like time had skipped back a few decades. 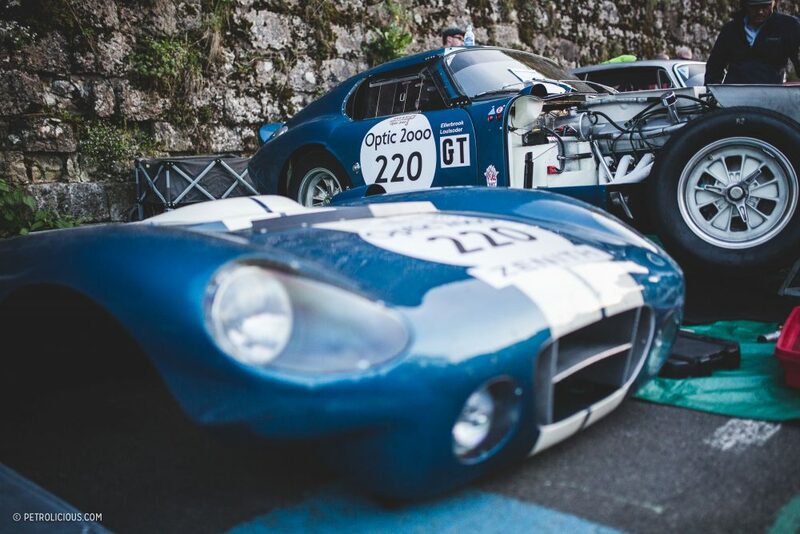 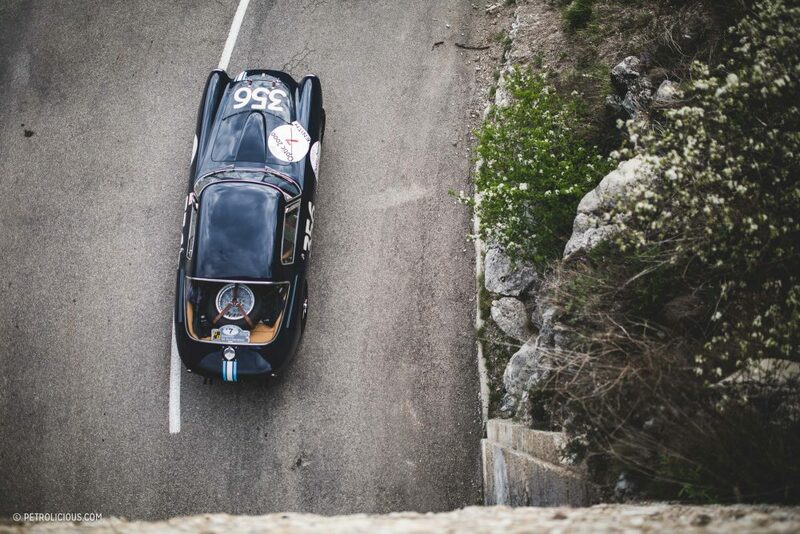 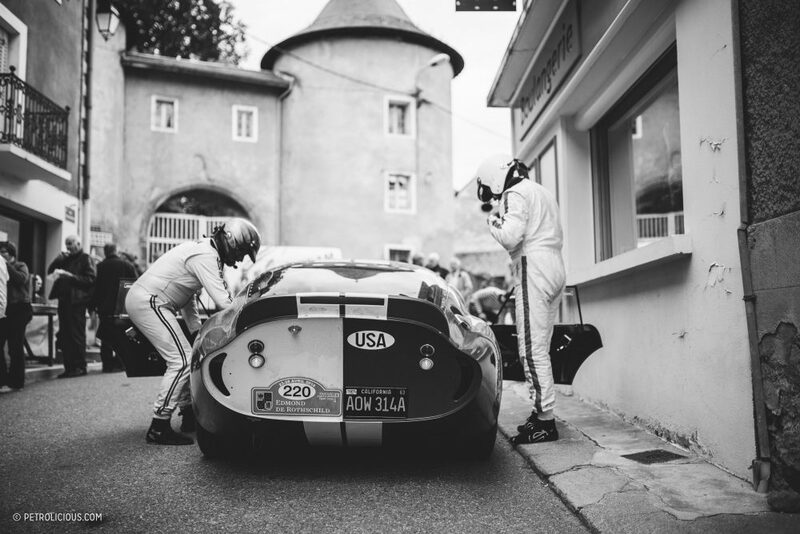 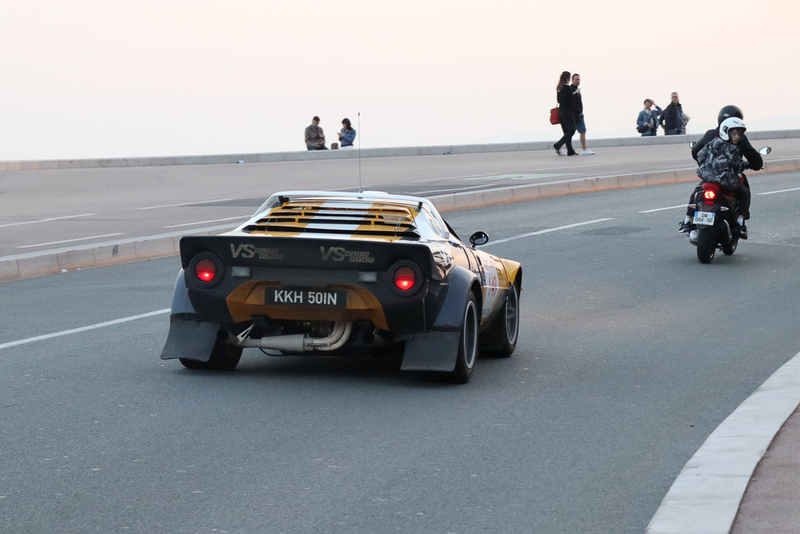 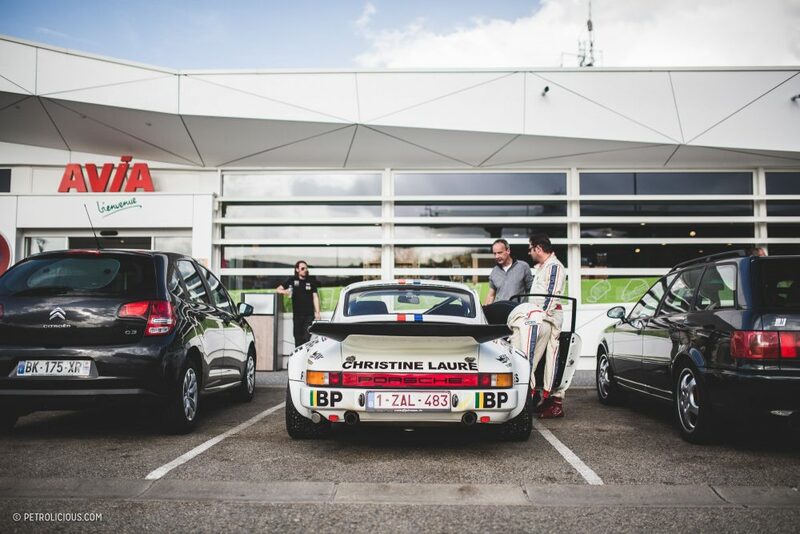 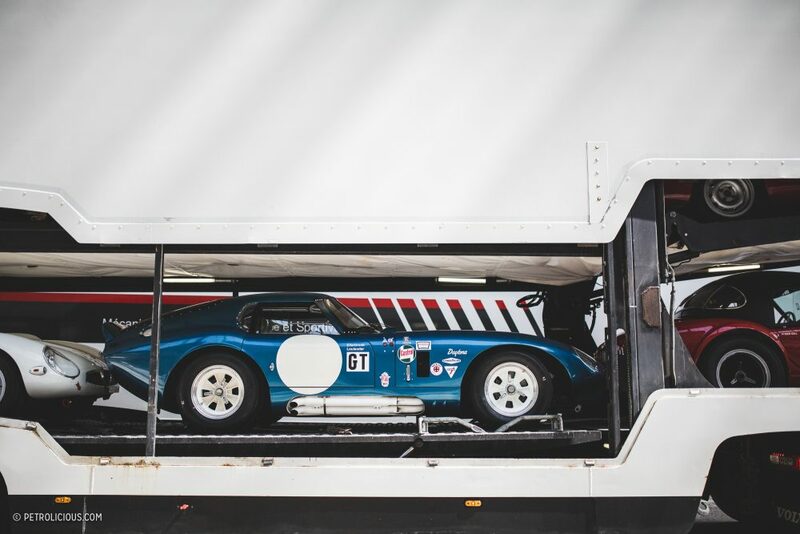 Our arrival in Nice was met a huge surprise when we saw James Cottingham and Andrew Smith pushing their GT40. 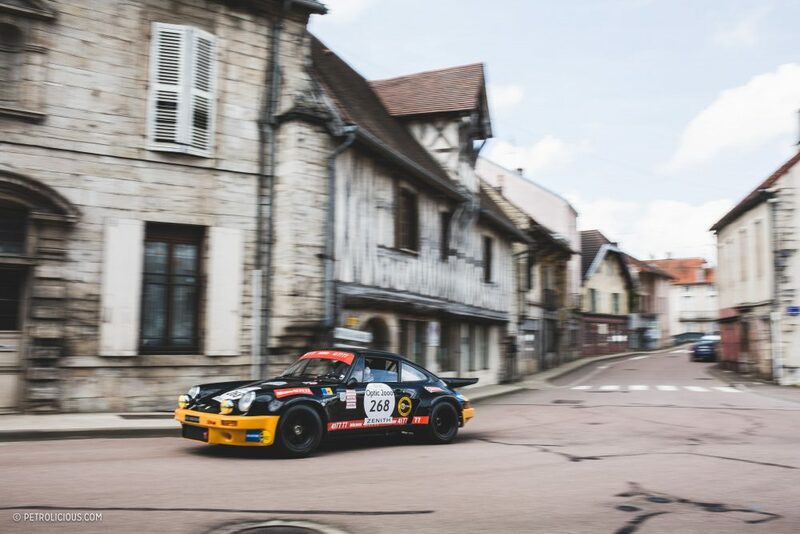 They led the Tour Auto from the beginning, but they unfortunately broke their gearbox in the penultimate stage of the week! 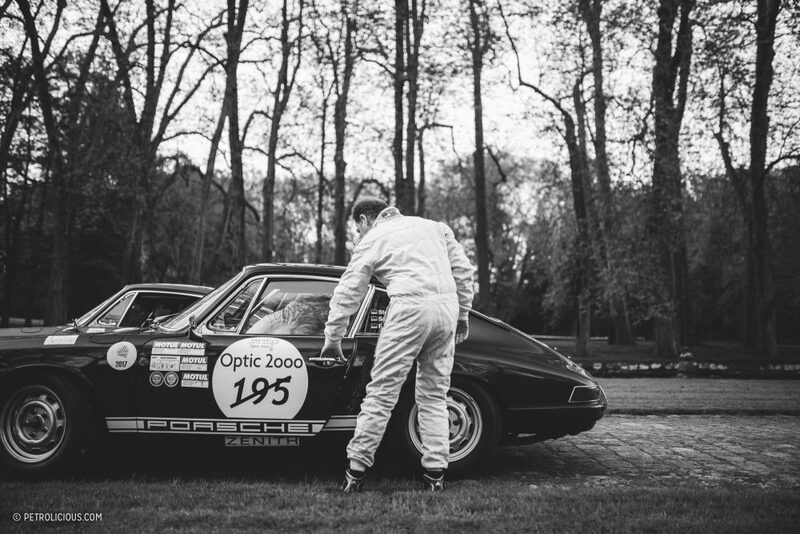 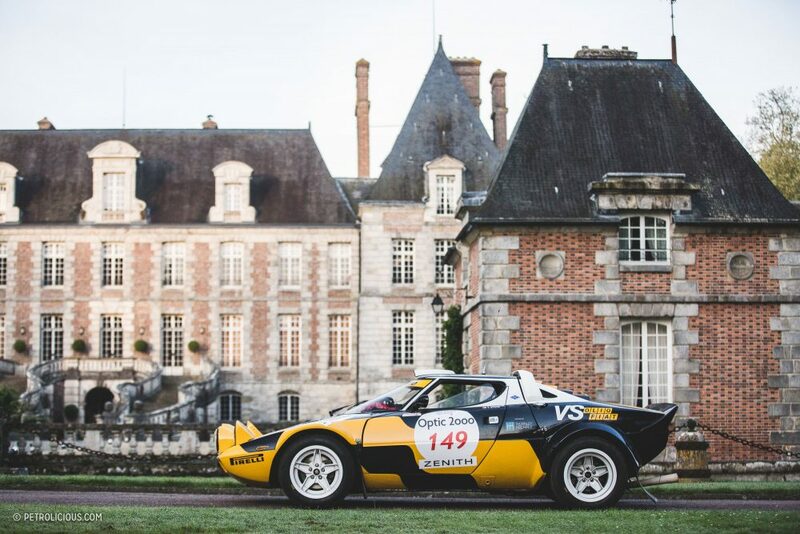 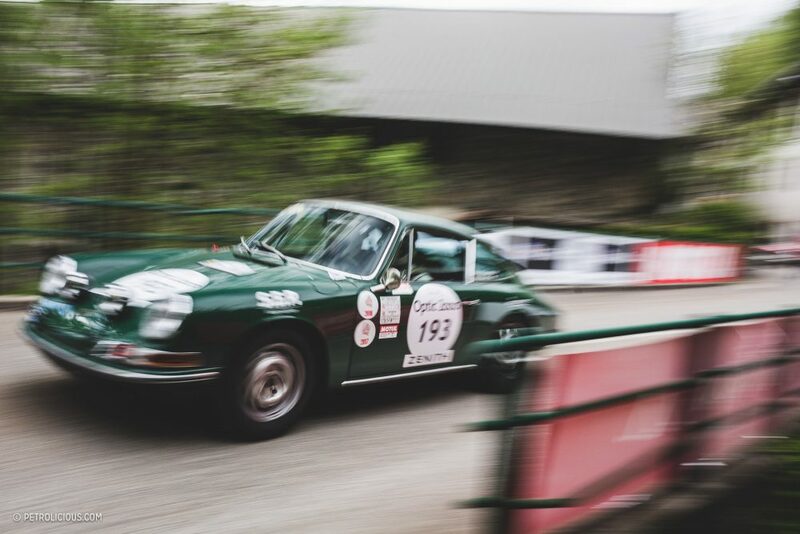 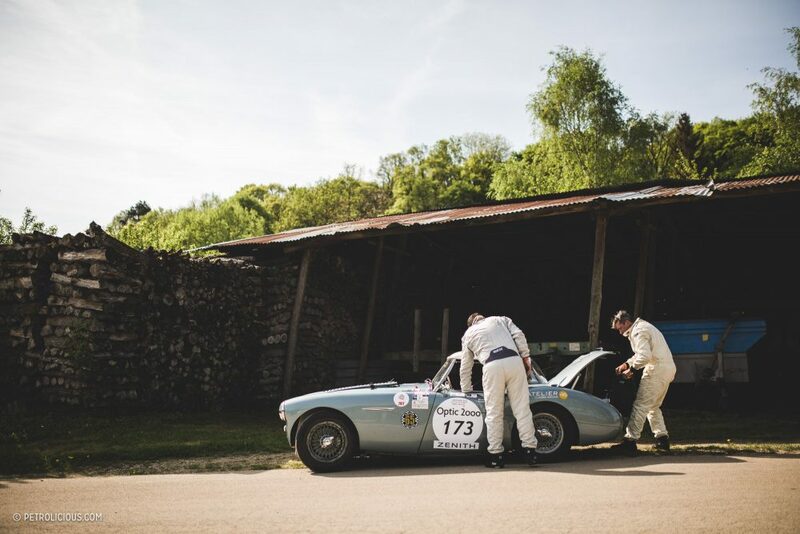 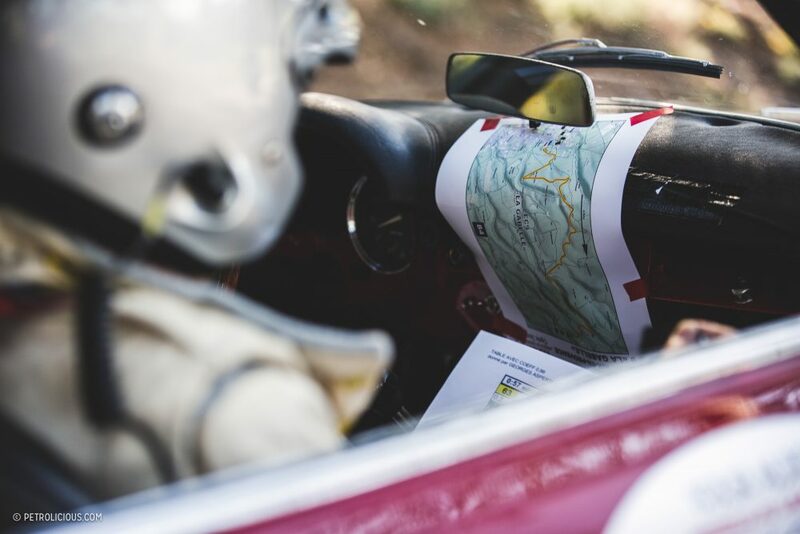 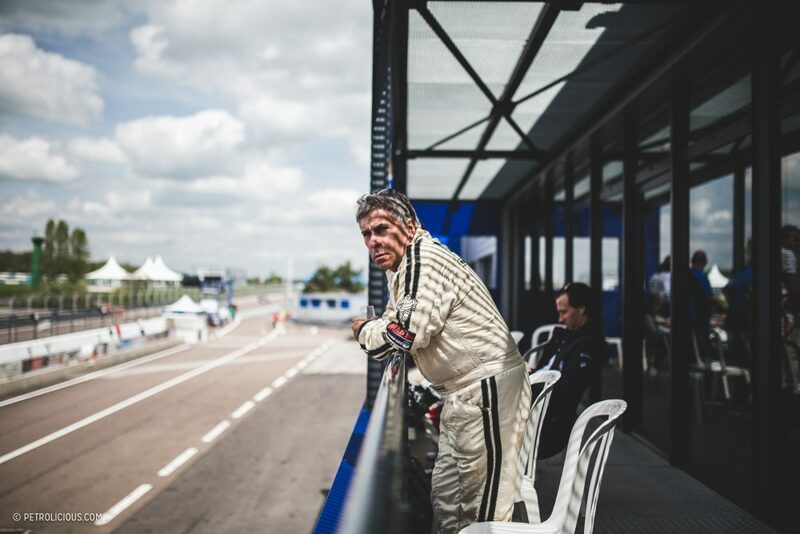 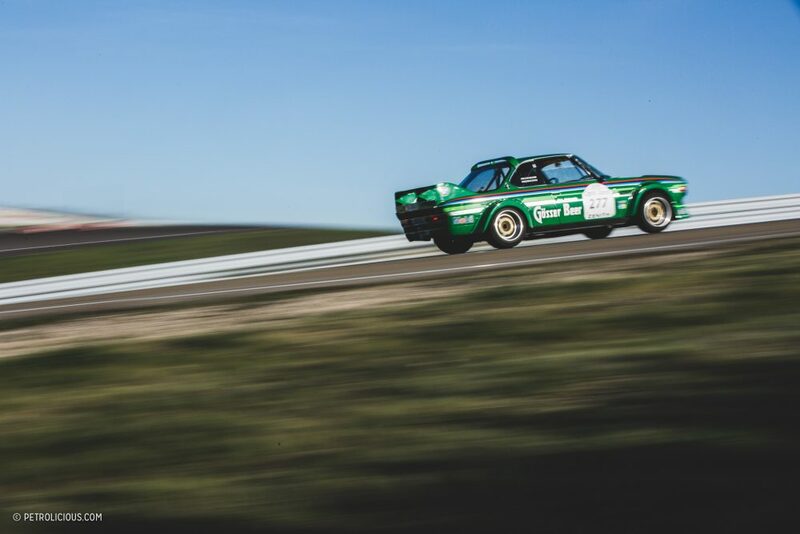 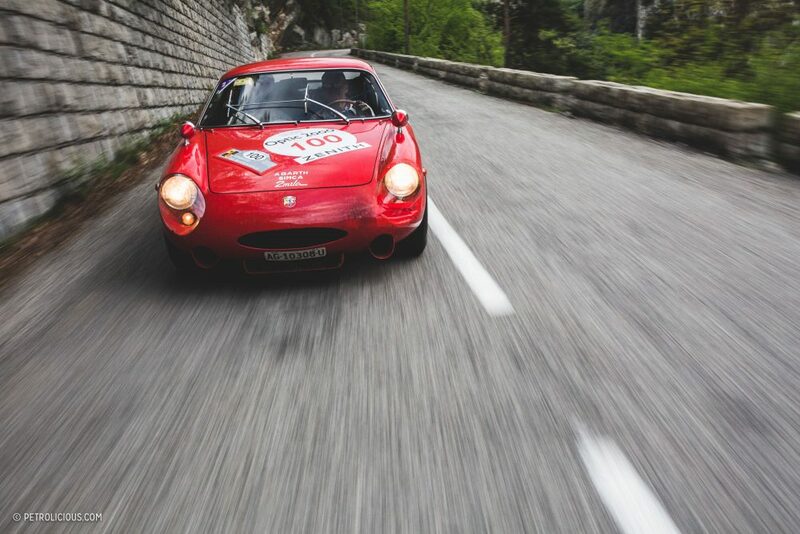 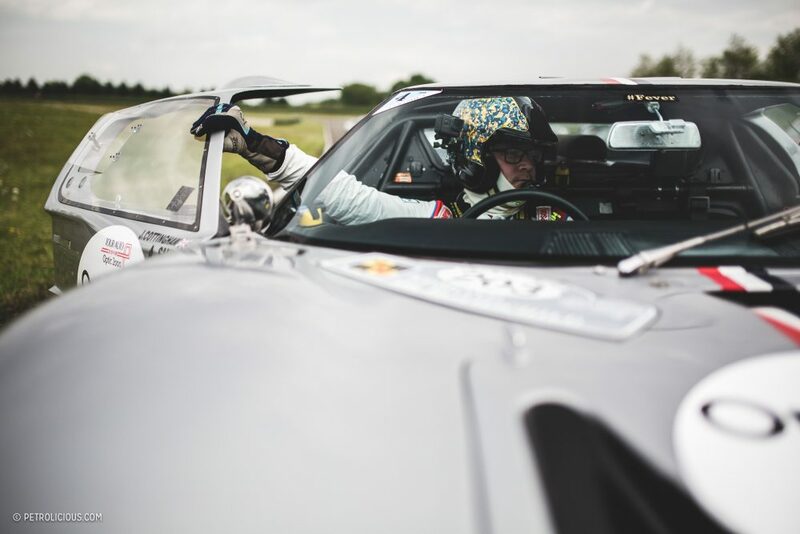 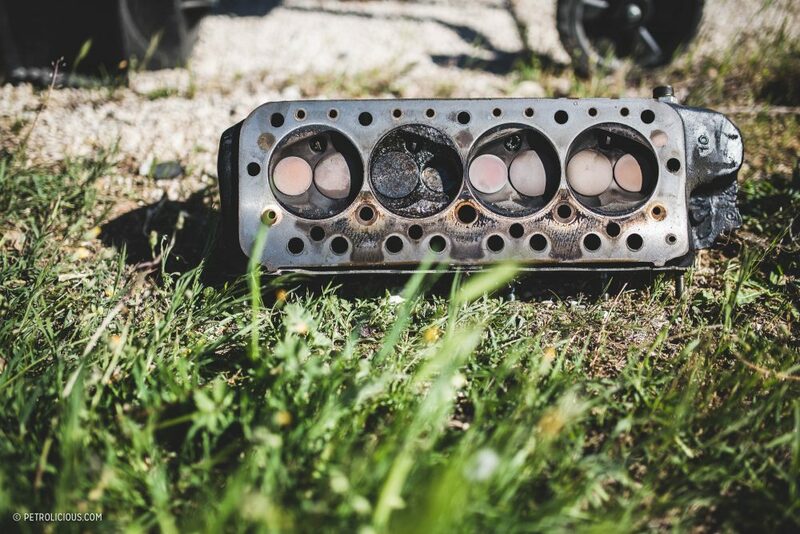 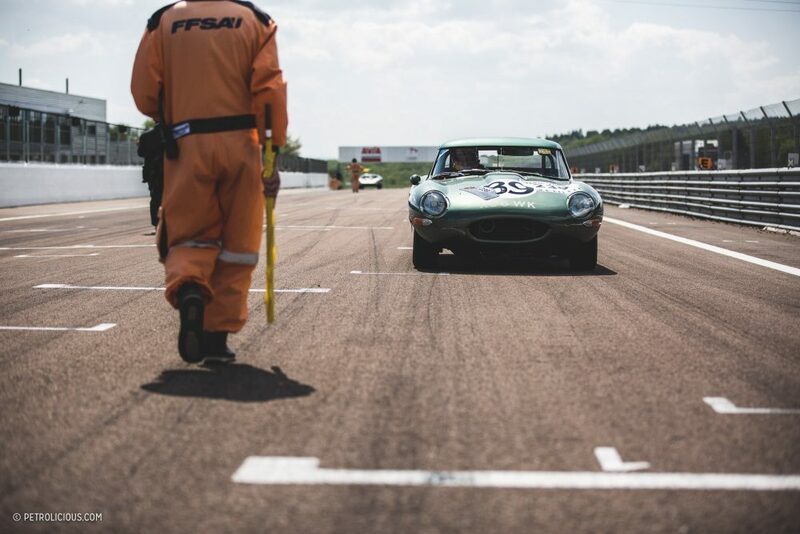 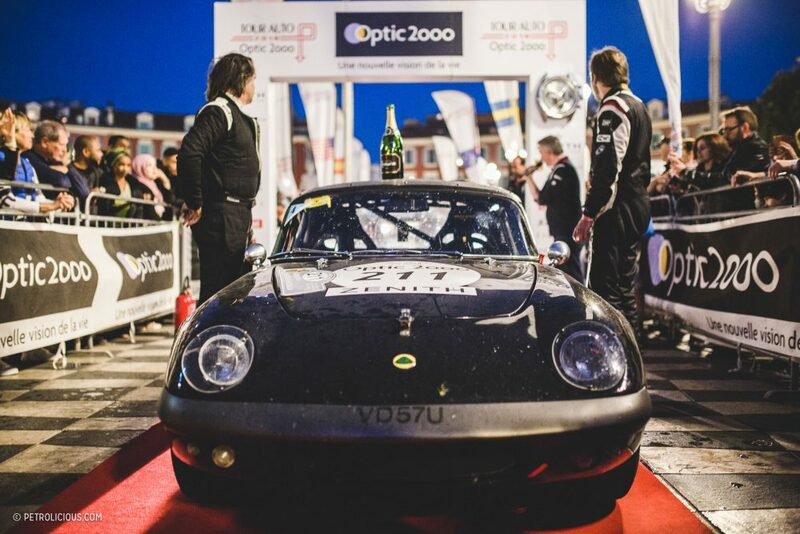 The Champagne was instead showering in front of a tiny Lotus Elan 26R with huge smiles on the faces of its excited pilots, Raphaël Favaro and Yves Badan. 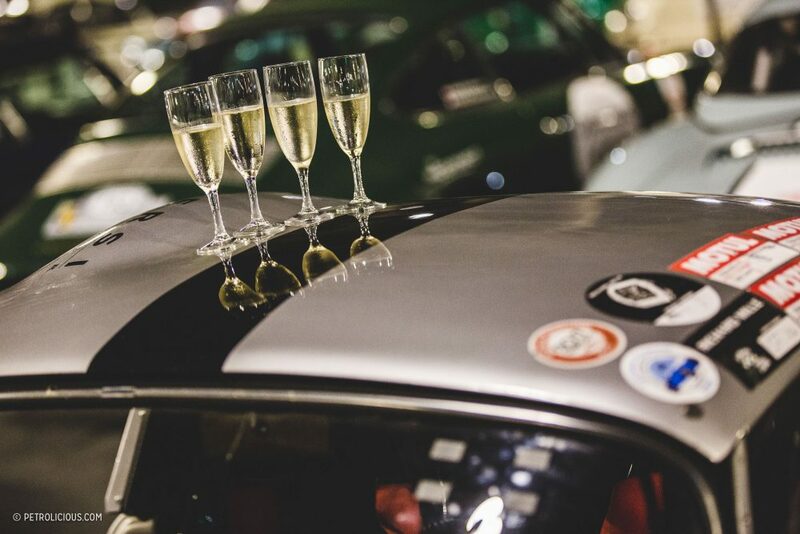 However it may have felt to finish first, it’s hard not to think of everyone involved as having won simply by participating. 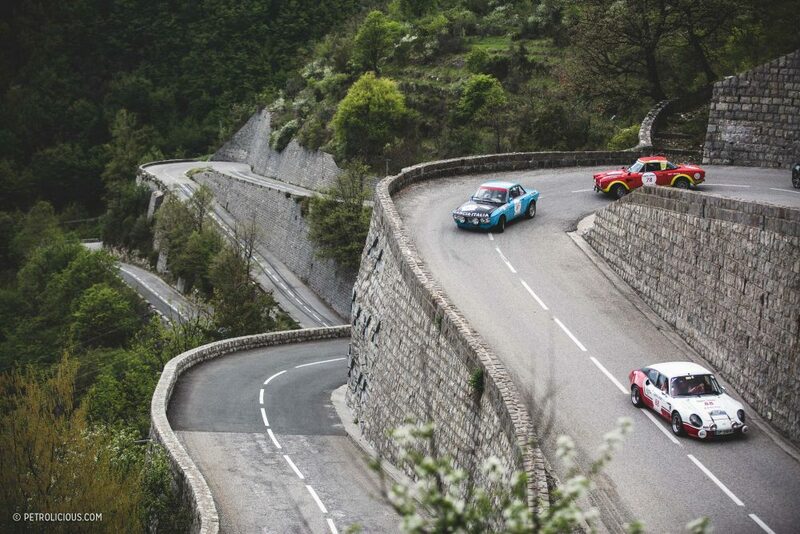 Wow, just spectacular. 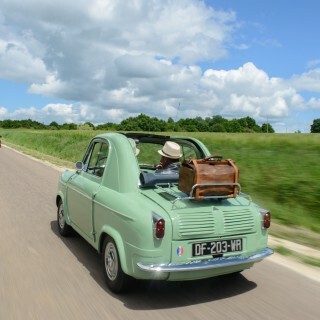 I am feeling much envy at this moment! 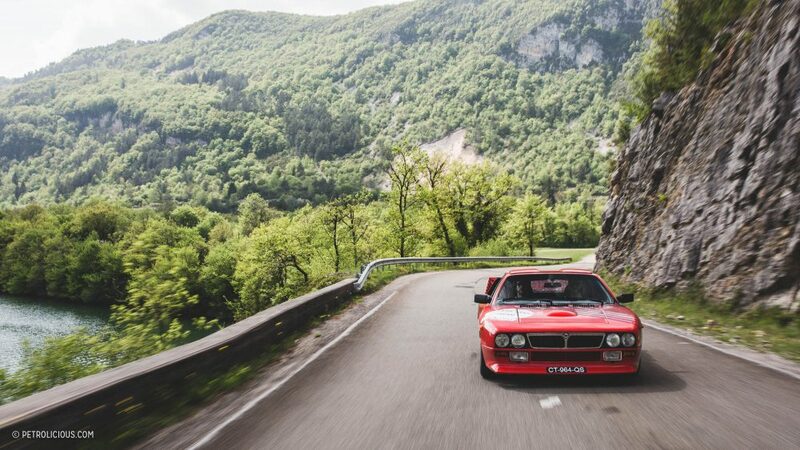 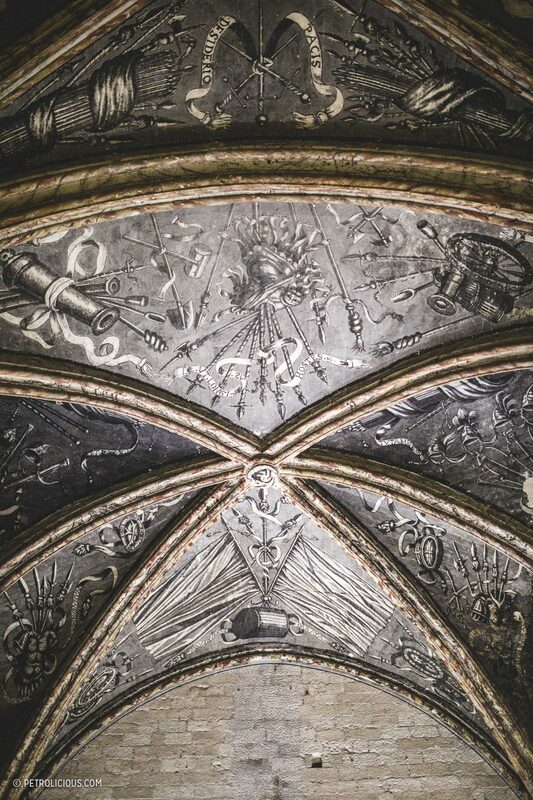 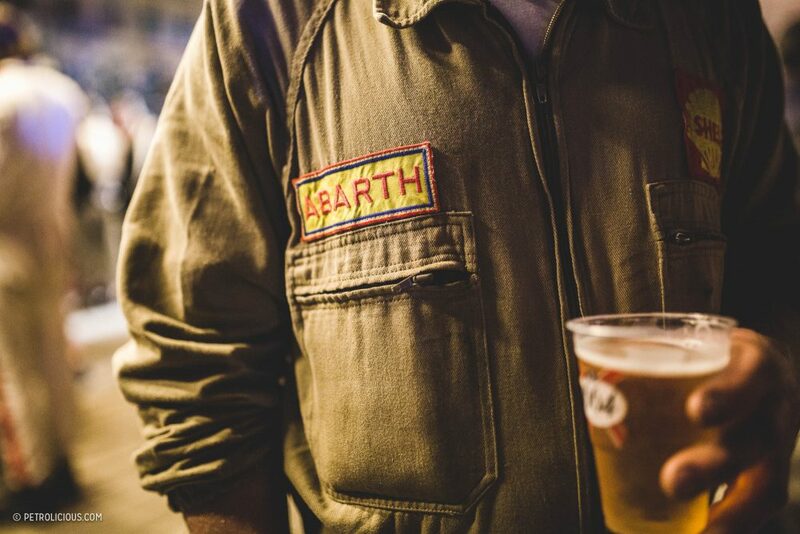 Cracking set of pictures and a great article. 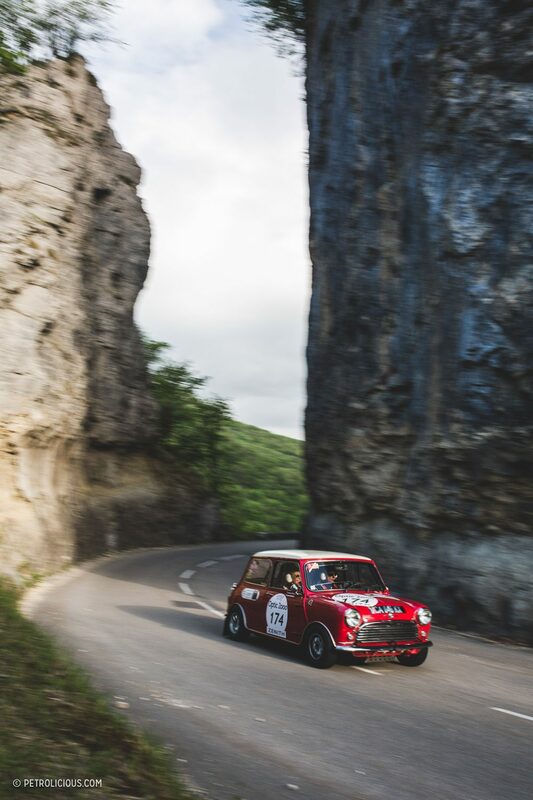 Having also followed Tour Auto across France and taken lots of pictures, the route and the entry really ensure no one set of pictures is the same! 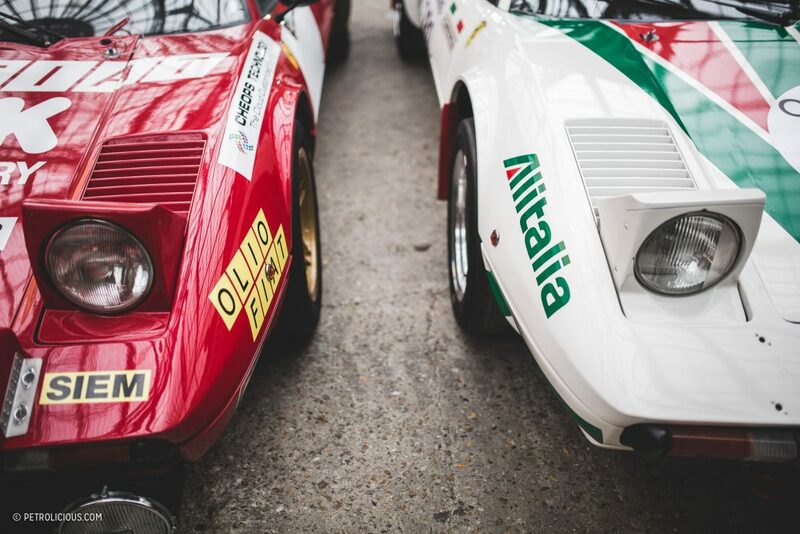 Superb and well written article too. 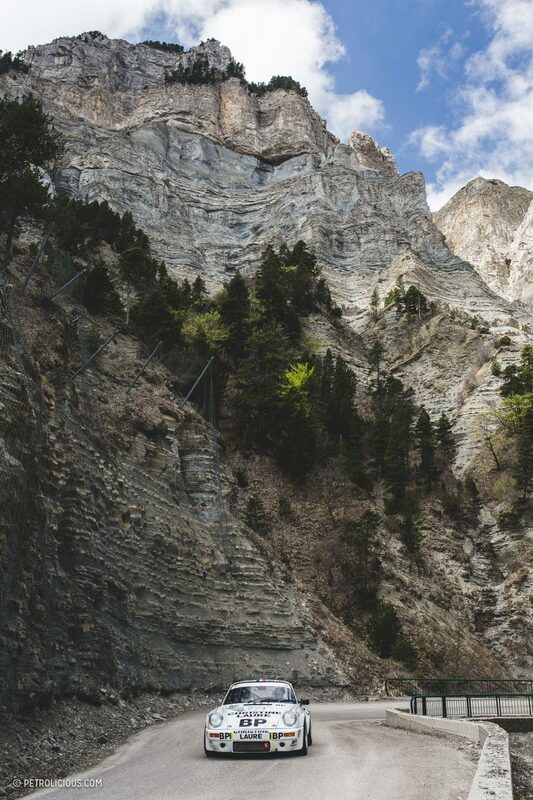 One for the travel list.